No matter where you go, you run into everyday people. These are the people you don’t really think about when you think about what is going on on the other side of the world. Everybody’s doing something. Fishing, working, fishing for work. 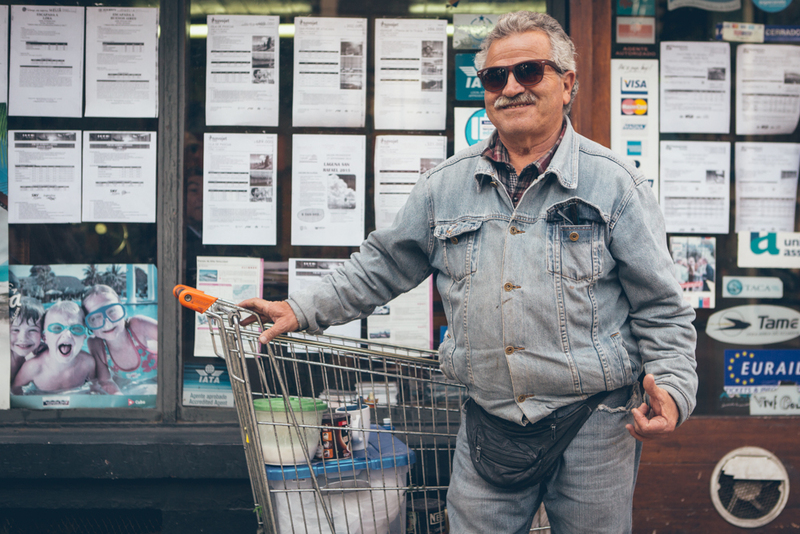 This is a collection of normal, everyday people that I have encountered on my travels throughout Italy, Greece, Croatia, Netherlands, Germany, Belgium, Hungary, Turkey and France. Most of these people are probably not on facebook. We were in Crete visiting a friend and her parents. On our last day there, they took us to a small coastal city, and the name escapes me, but it was just about an hour west of Heraklion, on the coast. They went shopping and I busted the other way and started to explore the small narrow streets. I found a set of doors with one door half open. Written on the door with magic marker was “candle factory,” in small but very legible type. I was intrigued so I pecked in from a distance, and saw all types of yellow, straw shaped candles hanging out, drying. 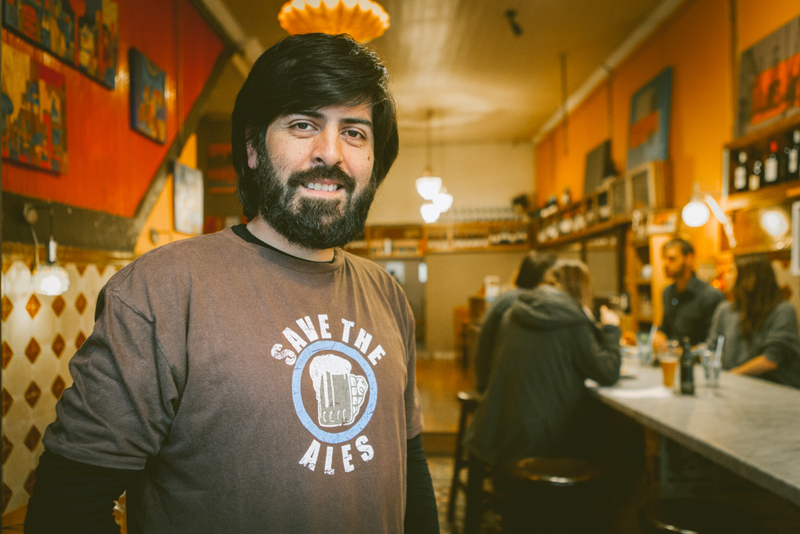 The interior was poorly lit with a few fluorescent overhead lamps, and inside was this man. I gave him the nod, and he nodded back and I walked through the door. I strategically weaved in and out of drying candle racks and machinery, taking a shot here and there, until finally I was in the center of this workspace. This man had not stopped moving around the space, dipping candles, picking up bunches of dried candles, cutting wicks, all very methodically as if he was being timed and he had been at it for years. He seemed to understand that I was an interested visitor with a camera, and I knew he would keep doing what he did as long as I was not in his way or in the way of danger. It was hot outside, and even hotter in here. Cauldrons and kilns were blazing and bubbling. I asked him where he was from and he answered in a soft voice, “Pakistan”. I wondered in my mind how he ended up in Crete, and how long was he a candle maker. I didn’t ask, but instead watched him as he kept on making candles and boxing them up. He peered up at me after grabbing a bunch of candles and I said “thank you”, and he stopped what he was doing, and let me grab this shot, maybe the only time that he actually stopped for anything that day. I grabbed the shot, walked towards the door as he kept on working, and I carried on, on my way down the street and let life go on. 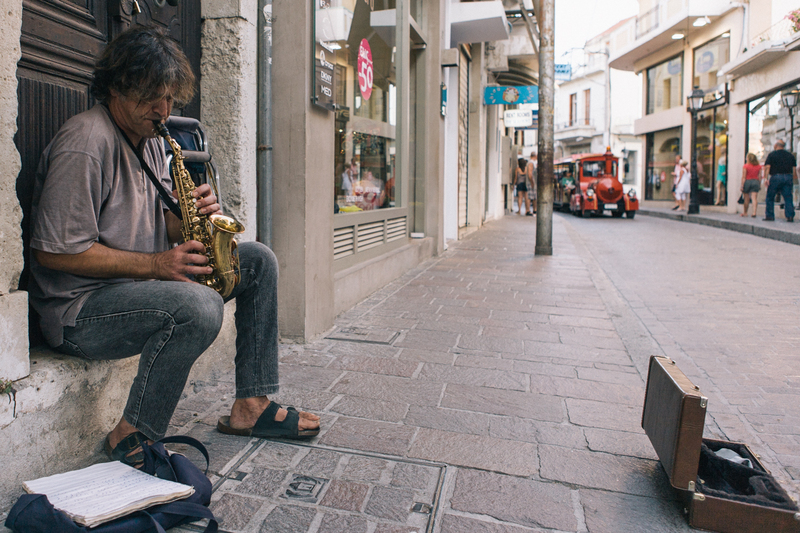 On the same exploration in the small town in Crete, I came across this street musician playing a sad song. I dropped some change, grabbed the photo, just as a parade of tourists was approaching. I sat here and watched this street vendor for a good 20 min. Thinking about his life. Maybe he has been doing this job since he was young, back when the Greek economy was doing well. How he made all the local children happy with his candy and grilled corn. How he didn’t know or care about the changing world around him. How he never set up an email address, still gets letters in the mail, maybe he’s never been on a plane or how he probably doesn’t know who Wiz Khalifa is. Just doing his thing, cooking treats on the street like he knows. With the sea to his back, and the beautiful greek sun set every evening. Maybe he takes a swim every morning for exercise on beaches that most people never knew existed. Maybe he takes a shot of olive oil every day to help with his digestion. This to me was Spetses, a small Greek island that isn’t advertised to tourists. There are only maybe 3 cars on the island, and they are all taxis. 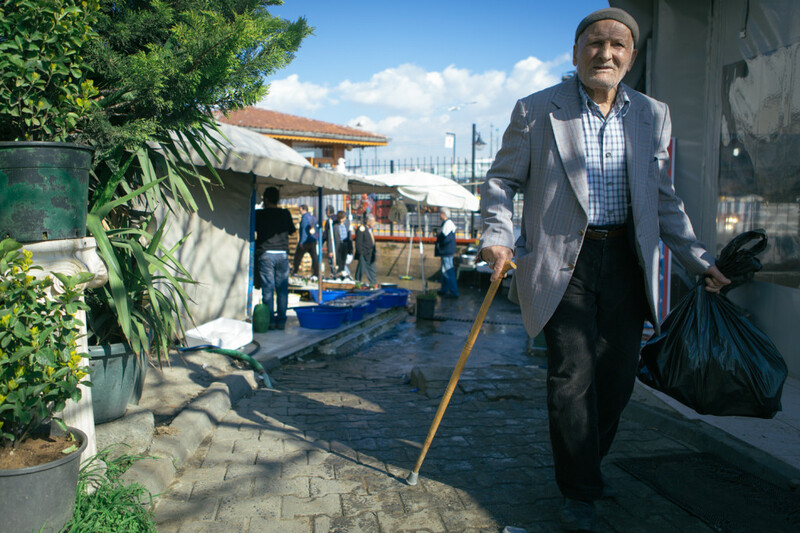 The island is populated only by it’s locals, and in the summer time, you will find people flocking in for the holiday, and they are all from the Greek mainland. You get around on four wheelers and motor bikes, and their food is all local. This is Greece. 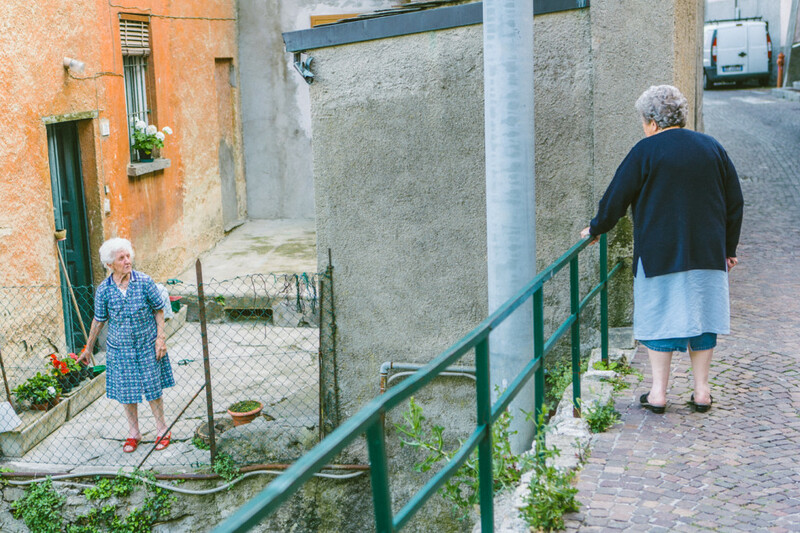 These two women are residents of Como, Italy. Neighbors just having a chat, maybe about Ragu, maybe about their children, maybe about the produce market. These two lovely women I know nothing about. I tried talking to them but really nothing was clicking or making sense, but they sure loved me and my camera… And corn. 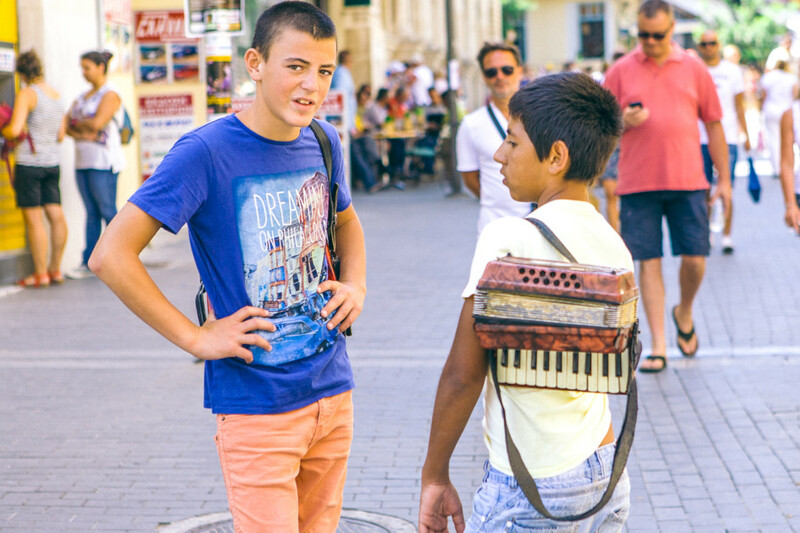 On this blistering hot day in Budapest, we came across them on our way to the Hugarian bathes. 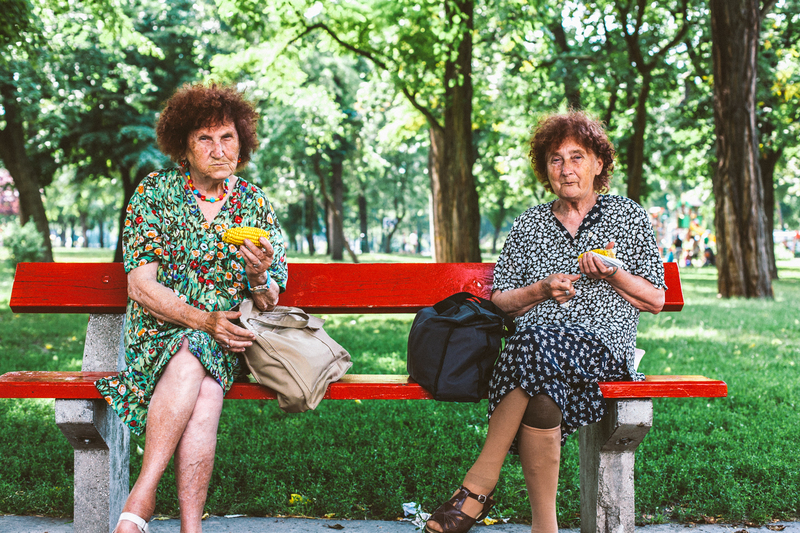 I thought they could have been sisters, just sitting in the park enjoying a snack, and this is part of their everyday schedule. In the old town of Dubrovnik, you will find a lot of tourists. Their biggest industry is tourism. So it’s a beautiful thing to come across a little shop in the middle of the hustle and bustle where a man has been doing the same thing, and has kept his shop open with his service, while the shops around him have been changing. 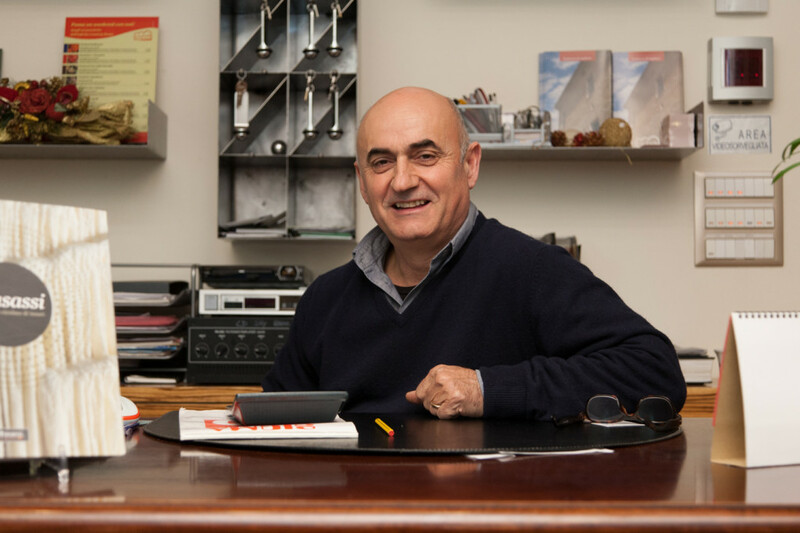 I’m sure he’s been approached by a few who want to take his shop and turn it into a small shop that sells over priced cold drinks, Dubrovnik shirt, and post cards, but the watch maker kept it real. Earlier in our travels, my watch had broken, but was repairable. A pin in the strap got knocked out, and well, the leather J. Crew strap that I had been using for the past two years was worn and stretched and stank like a foot. So I stopped in and browsed the watch straps that he had presented on the counter and ended up leaving the shop with a newly functional, non-smelling watch on my wrist. It’s a good thing that people and places like this still exist. 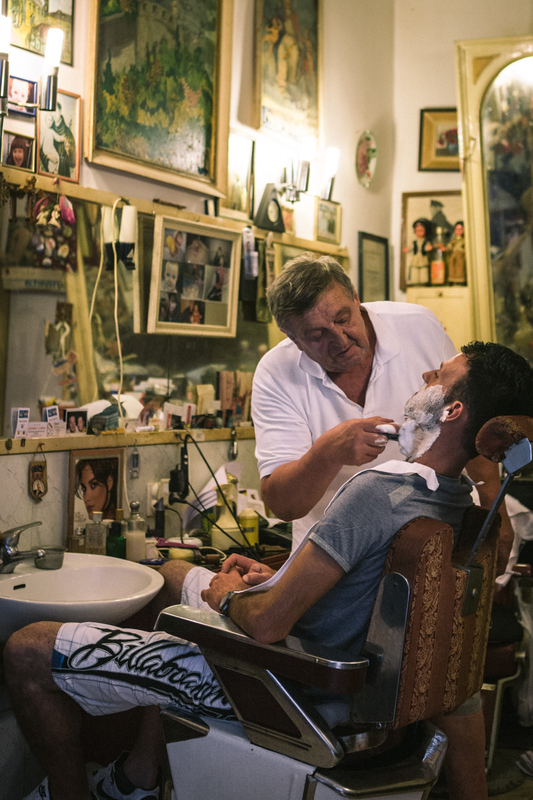 A barber in Dubrovnik. Judging by the decor and the accumulation, this place has been around longer than my parents have been alive. Again, it’s nice to see this kind of classic way of life providing a service that people still rely on. I took a long train ride to Carara. Not a leisurely train ride you see in the movies. I boarded a clunky rail car that was making every stop from Milano to Massa, but only cost me nine euros. I met up with an American artist friend who was friends with a local of Carara, Marcone. He took us around to a bunch of places to meet other artists and to show us some of the projects he had worked on. His father, who is pictured here, came to meet with us after lunch and I was able to capture this as we all wondered around this parking lot of this school where they had done a big group mural. We were in Bruges, Belgium and we were planning on taking the train back to Brussels where we were to catch our flight back to Milano. Problem was we needed to have printed tickets for the train otherwise we would have to pay the full price again, on the train. We knew this from experience. Bruges is a small medieval city that is stuck in time. We were able to find what we believed was the only copy and print shop there was. The city is so quite, the kind of place that you see the shop owners dog sleeping on the sidewalk in front of the establishment, and I only tell this to you because that is what we found when we approached this place. In Bruges, mostly everyone works in the tourism sector. Busses cart in loads of tourists a day, and the same buses cart out the same tourists in the evening. After 6pm the streets are empty and quiet, and it literally becomes a ghost town. I went wandering and found a little bar with a polished wood interior and a fireplace, and I parked and had some really strong Belgian beer tastings. 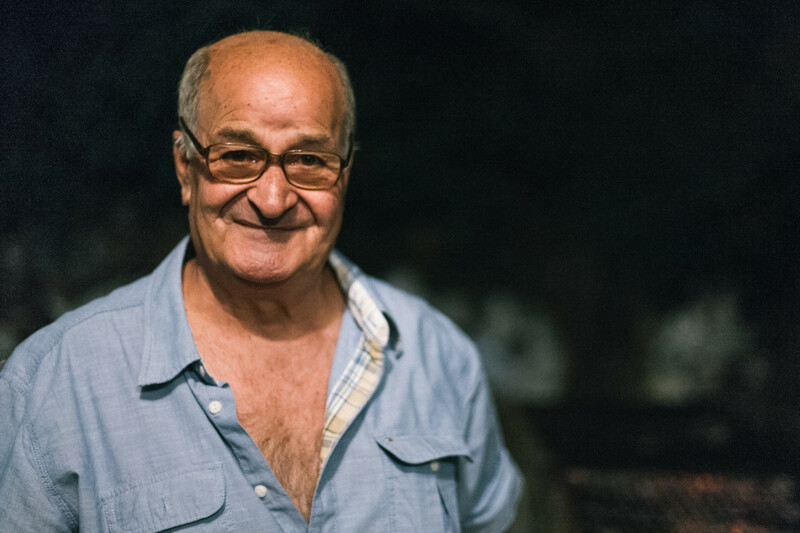 I stepped out side and started chatting with this gentleman who worked in a restaurant not far from this bar, and he told me that a number of people in the food and hospitality industry usually stop in for beers. These two gentlemen are also in Bruges’ food industry. The man on the left owns a restaurant a few store fronts down from the mentioned bar, and the gentleman on the right was an esteemed chef in Bruges before he got into a really bad accident. 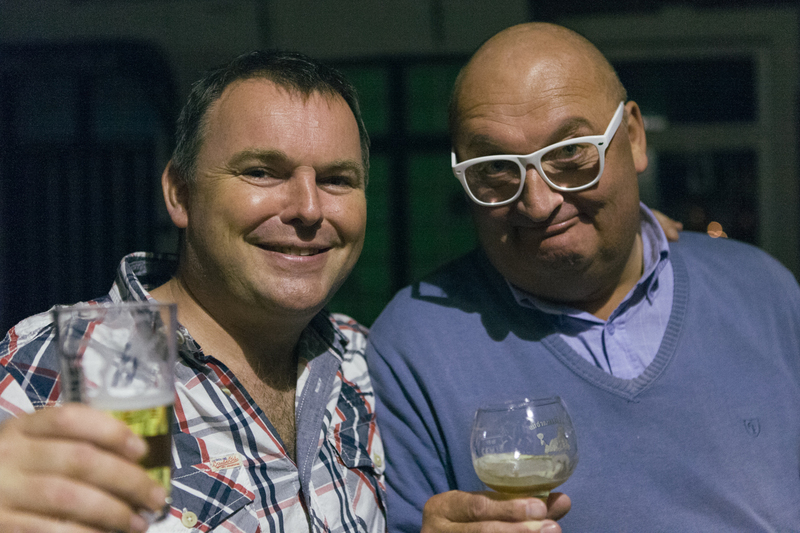 I guess the guy on the right is an extremely successful chef in Belgium, or was, now he is retired. 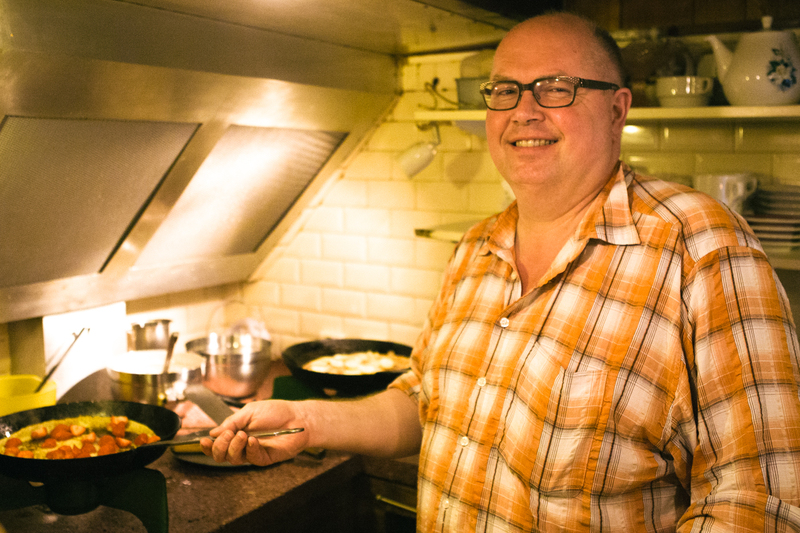 …and this was our very talented chef who prepared our meal. Sadly, we researched and this restaurant no longer is in operation. In Berlin, you will find so much diversity. 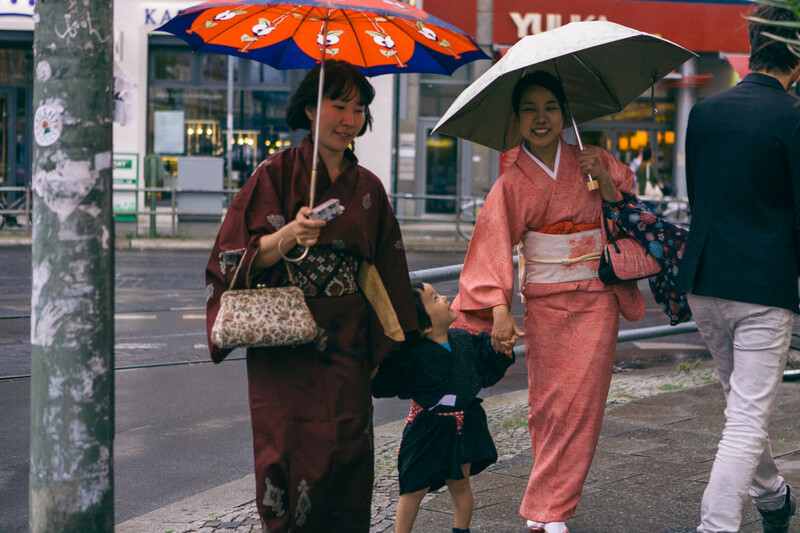 On this rainy day of wondering, I snapped this picture of these two women wearing kimonos and their little child. Now, I have had my run-ins with street artists and graf writers. I used to write graffiti, and even the people that I rolled with were assholes. It’s a thing of over-inflated ego. We came across this giant park where everyone was hanging out, playing music, throwing frisbees, drinking, even a live band was playing. And up top around this park, was a wall that went the whole length of this park, probably stretching half mile in distance, that separated the park from a futball stadium. 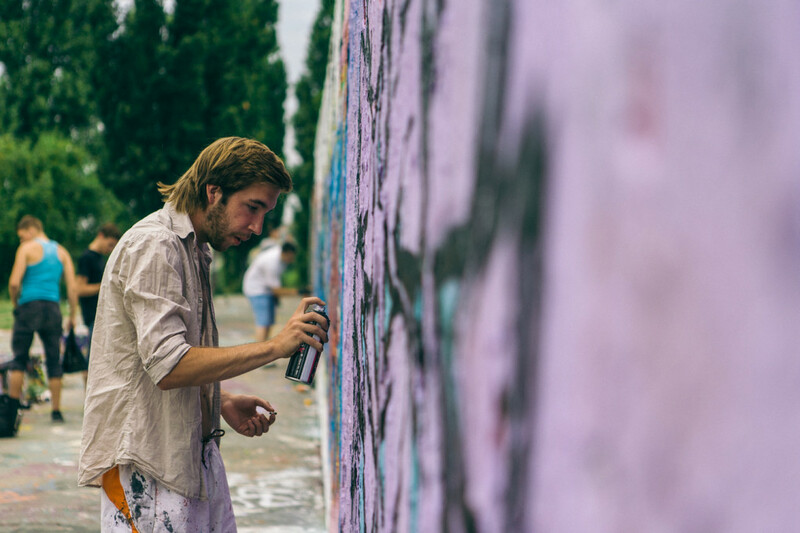 This wall was wrecked with good and bad graffiti pieces, but it was a place to go to and jam. I tried to talk to this guy but his ego was too inflated to start a conversation. I said “hey man, what’s up, what do you write?” and all he said was, “read it.” At that point, I realized why I don’t hang out with graffiti writers no more. 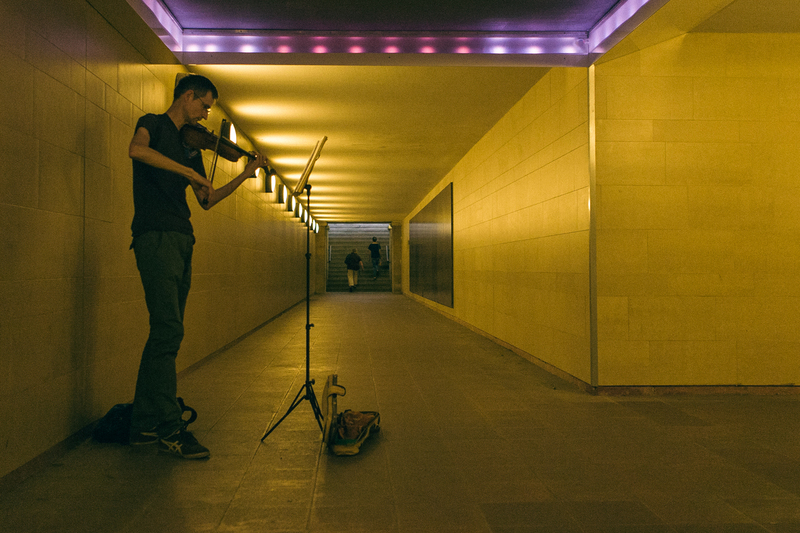 I heard a beautiful tune being played when I was above ground and I heard it echoing from the subway entrance. I walked down the stairs and saw this violinist playing. I sat there and listened to him a a few minutes, dropped some change and took this photo and resurfaced to street level to carry on on my way. 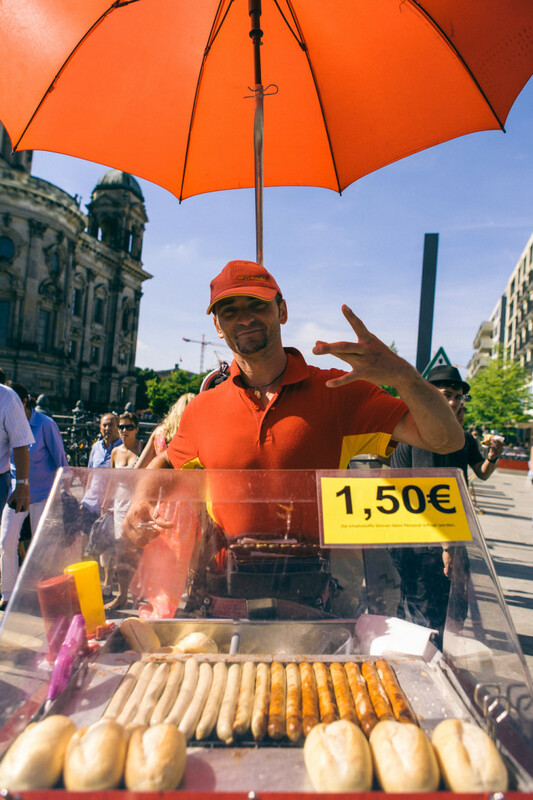 This portable hot dog vendor was cooking up a pretty mean sausage on the streets of Berlin. What was funny was after he gave me my sausage, I asked for his picture and he threw up the WestSide “W”. 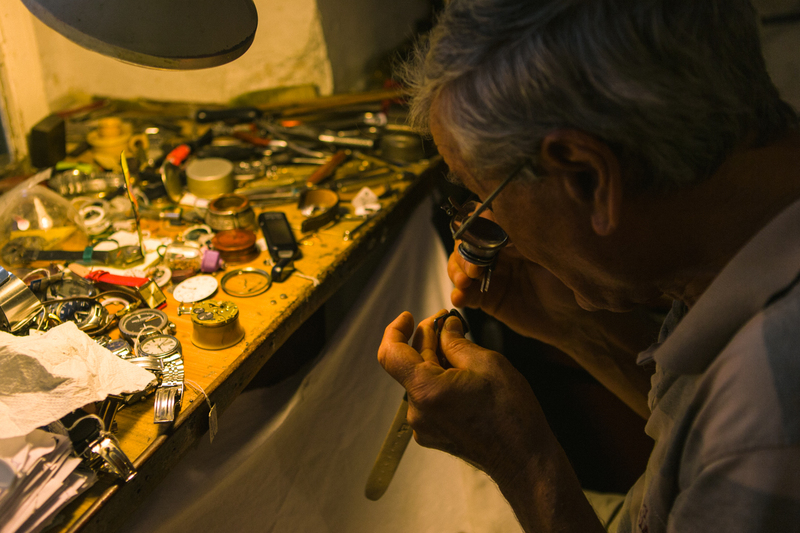 This painter sits in his shop in old town Dubrovnik and paints all day. Tourists come in, check things out then leave, while he just sits there and paints. While in Crete, our host parents took us to a Greek fest. About a three hour drive into the mountains into a tiny little town where the local church was having it’s annual celebration. We were the only Americans there, and were probably the only Americans that have visited this town in ages. They had the local band playing traditional Greek music, and the beginners playing their set, and the driving in talent at the end who played the songs that got everyone in the circle to show off the dance moves as arms where locked together pacing around the end dancer who is whiling out with fancy footwork. Food was slopped out onto plates and carried around on trays and served family style on long benches and wine was by the jug for three euros. 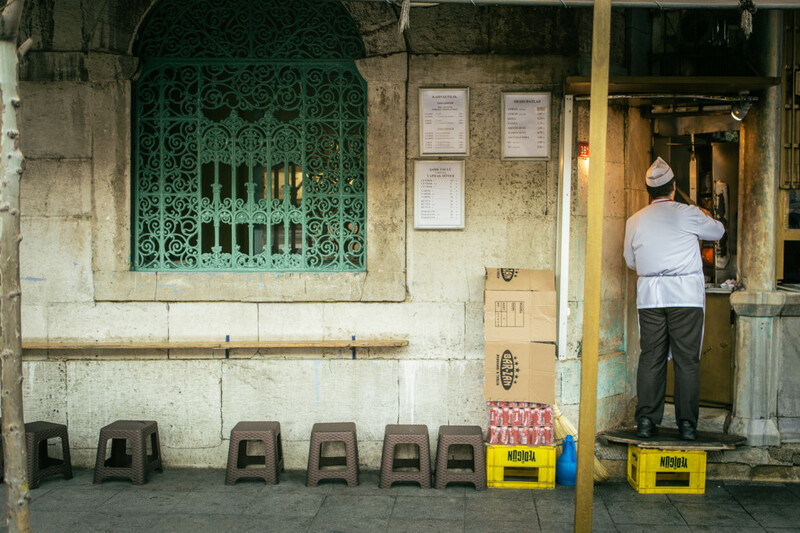 We went exploring around and talking to locals, and by the grill in the back, this man was supervising things. 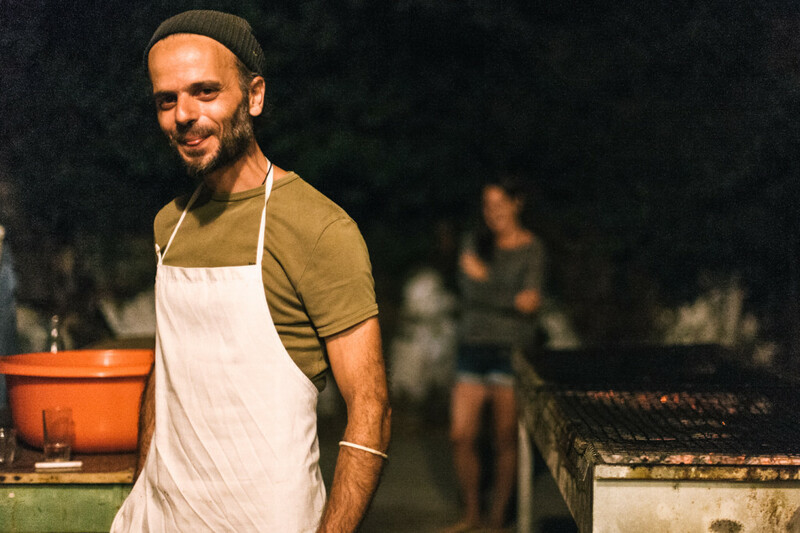 He kept hugging my girlfriend and taking flaming hot pieces of meat off the grill with his bare hands and insisting that I eat it, and of course, it was delicious, but so hot! 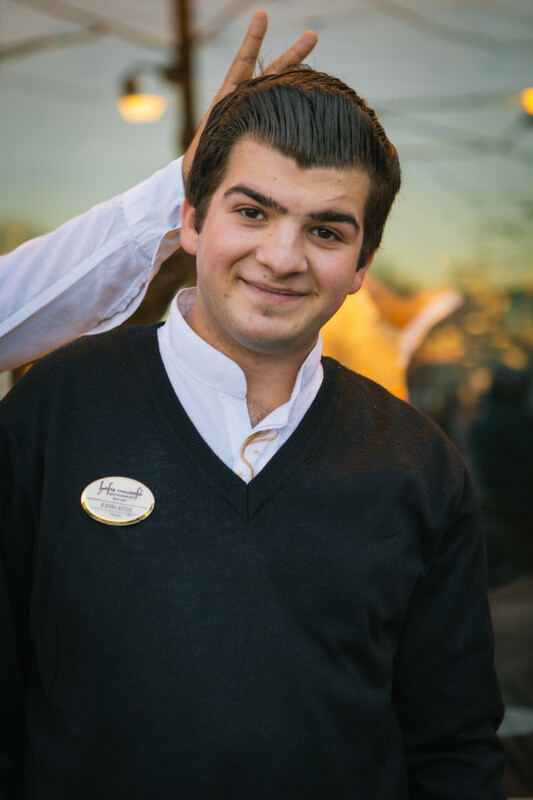 And this was his grill master, Ilias, who was an artist. He had a painting hanging in the church where the event was hosted. This woman, I have no idea who she was. 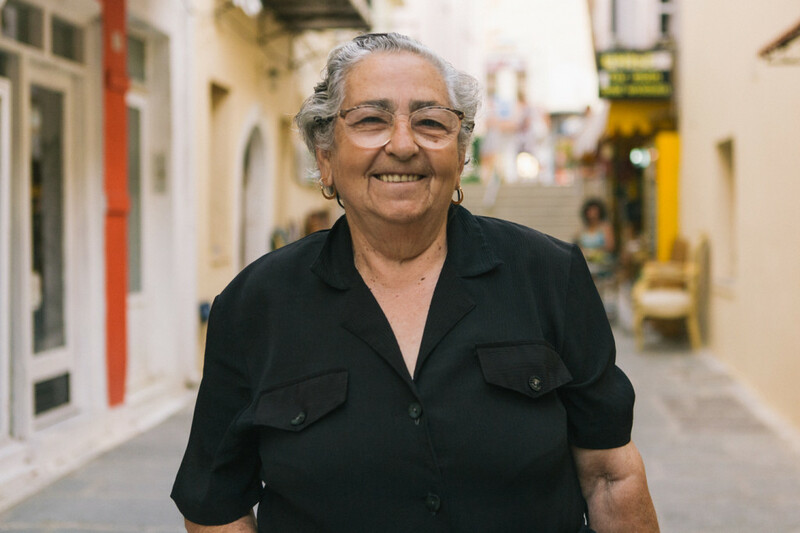 Upon my exploration in Heraklion, she was yelling at two other old people who were sitting on a bench on the side of the walk way. I thought that she was such a character, I tried to communicate to her that I wanted her photo, I don’t really know if she understood, but this is the shot I walked away with. 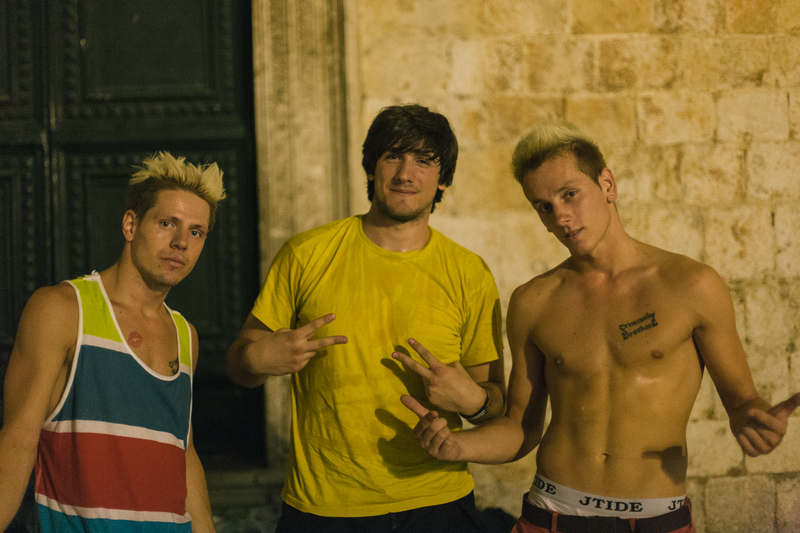 While in Heraklion, our friends father, Bobiz, was showing us around. He had to stop at one of his properties and take care of some business so it gave me about 15 minutes of walking around. I took off solo on foot, and came up to an intersection and on the corner was a butcher-shop. The butcher was hanging out sitting on a motorbike, smoking a cigarette, and was talking to this gentleman who had just picked up his meats and was about to be on his way. When I walked over they both turned their attention to me as I asked them if I can take a few photos. The guy on the bike sat there with his helmet and asked me where I was from and from my answer he told me that he had family in Forest Park… maybe Lake Forest? 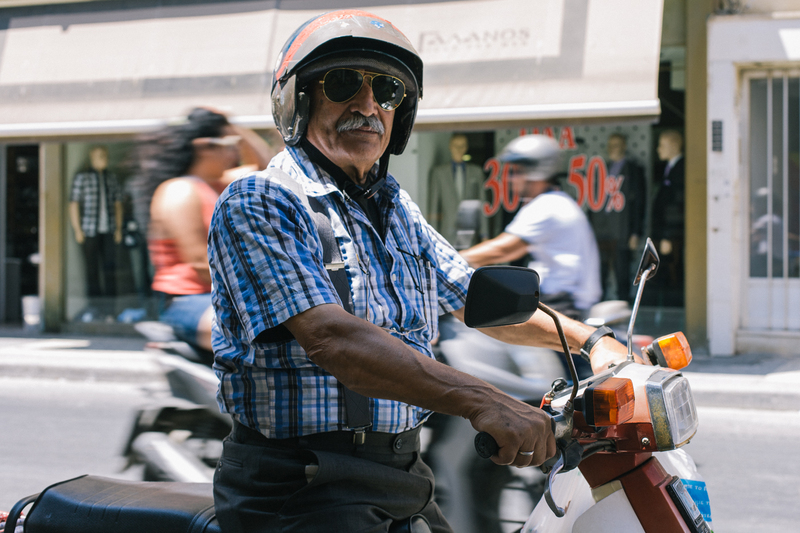 He let me grab his photo, then zipped off into the sea of other motorists and disappeared. 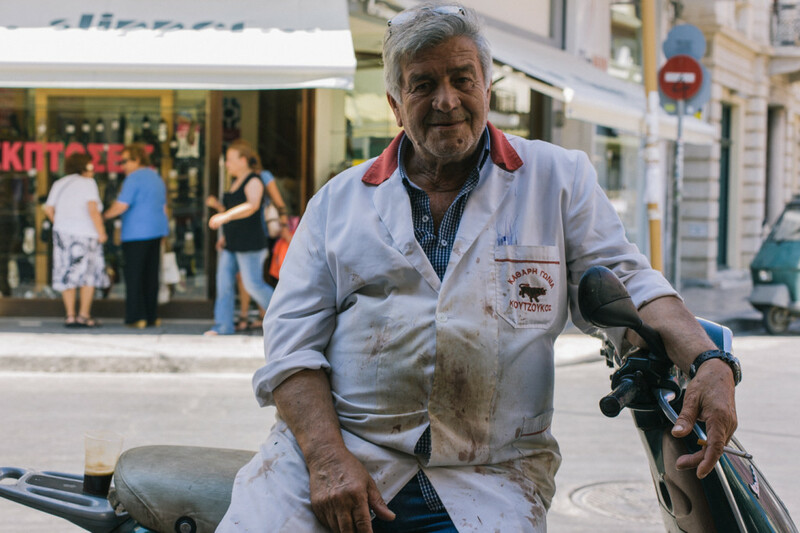 This was the butcher in Heraklion. I saw him from a distance, blood splattered all over his smock, and how he was just hanging out all nonchalantly, and I knew I wanted to take his photo. Another street performer, possibly Romani, in Crete at the port of Heraklion. 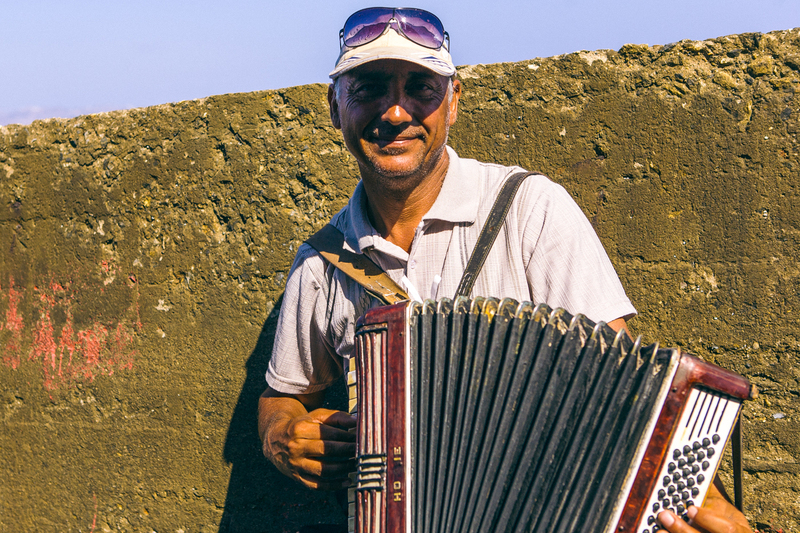 He gets to play his accordion out to the sea, in a setting most people may consider paradise. After doing some extensive research in Amsterdam, we learned about this pancake shop that only had three tables and you have to climb two sets of ladder-like stairs to get to, and fits 10-12 people tops. We made the reservation and had some really amazing pancakes, which in Holland is a very thin pancake, the size of a bike wheel, and topped with some diverse ingredients. Kind of like a crepe, but not a crepe. 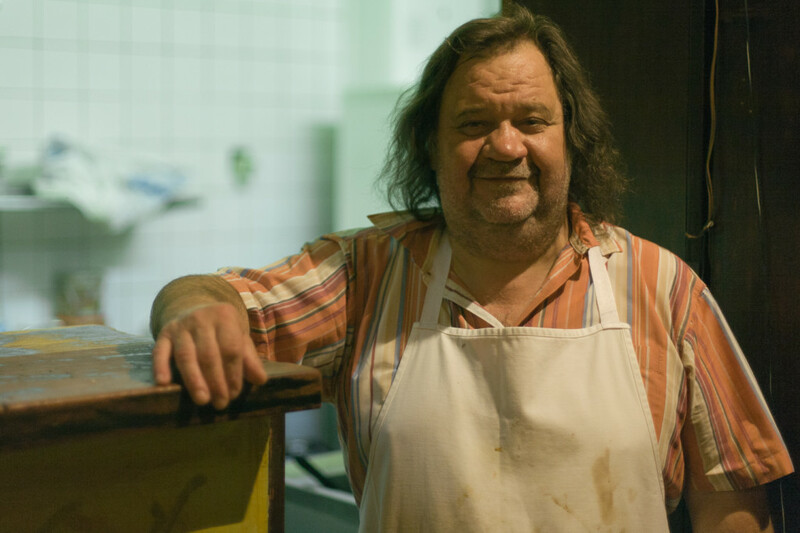 This was the chef who you pass by as he is cooking on your way in and out. He was happy to have us there. Ahh. These three. 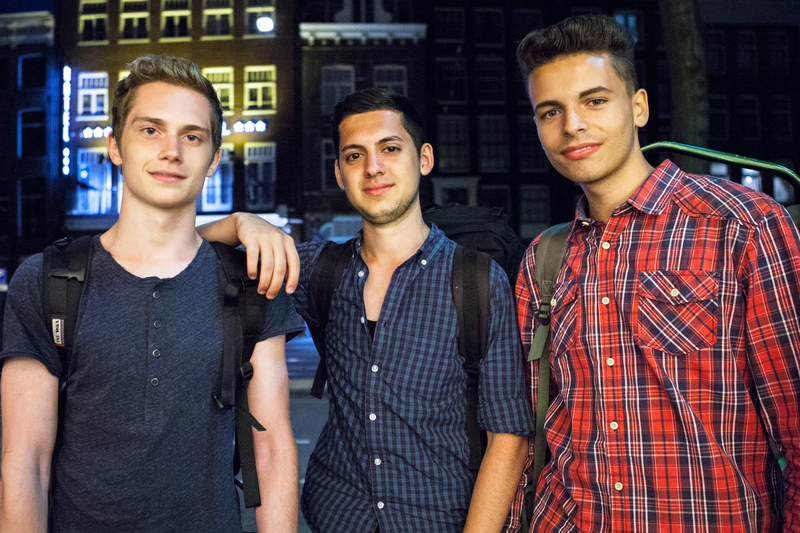 We were in Amsterdam, and the thing that everyone associates Amsterdam with, is their cafes. So we stopped into one of the more renowned cafes to see what the fuss was all about. After ordering at the bar, and finding a table, these kids were up at the counter with us and were quite confused. We introduced ourselves, helped them out, and they joined us at the table next to ours. This whole experience was new to us, but even newer to them. I rolled a cigarette and passed it on, and continued to roll another one. They really had no idea what to do with their purchase now that they had it so I had them give it to me and I rolled a few cigarettes for them to take on their way. Their story is great. They all had just graduated high school and were on their way back to their hometown in Austria, after having spent three days at an outdoor electronic music fest, I figured it was Tomorrowland. Anyways they were passing through Amsterdam, and were on their way to the outskirts of the city so that they can set up a camp for the night to continue on their trek home. I grabbed this photo of them as we were going our separate ways. 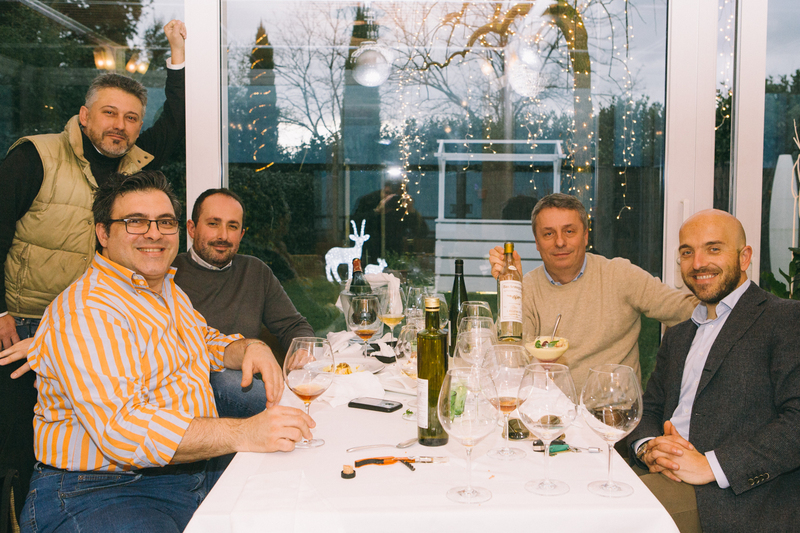 On our tour of the Marche region for the editorial work I was doing for Wine Enthusiast, the last stop was with the owner of Fattoria Mancini (Luigi, pictured on the far left). After an hour or two with him, which was the craziest road trip of my life thus far, we stopped at one of his friends restaurants to have a quick local drink. When we got there, one of the locals was in front talking to the owner, and somehow they all knew each other and were friends. The local man, well dressed on a Sunday, and still having lunch with his party, at this point its 5:30pm, invites us to sit and have a drink with his group. They were the only ones there by the way. This restaurant was beautiful by the way. It was located just off of the main road that weaves in and out of the mountains that are located right on the coast, like, right on the cliffs that over look the sea. We sat down with this group of men, who were all very dapper, successful looking members of society and they were drinking an Armagnac that dated back to 1964. One of the gentleman was a connoisseur of liqueur and he had brought this bottle from home to share with the table. So as we sat down, he poured us a glass each, and we sipped this fiery strong Armagnac very slowly, because we knew a drink at that age, with these gentleman was something you drink slow and appreciate the taste. As we got up to say our good byes, the bottle got knocked over and spilled all over the table, and was quickly picked up, and everyone laughed. Note: upon researching this alcohol, on average, this bottle is about $500. If someone spilled my $500 bottle of booze there would be some owning up to do. Later we conversed with Luigi about his friends and it turns out that they are all quite wealthy. Two of them were politicians, one was a chiropractor, and one was a surgeon. I guess they can laugh about it. This waiter in Paris was like an animated character. He made sipping noises when delivering our food and had a really funny voice. He reminded me of a cartoon character. Luigi the vineyard owner. This guy took us on the most horrifying ride we’ve ever been on, in a tiny four-door Suzuki. He knows his land so well, that we was willing to put our lives in danger as he laughed about it. I damn near had a heart attack with the antics that he pulled, but he made me appreciate life and he actually made me feel pretty darn alive. He’s a nut but you can tell he was adventurous. If you read this, and then meet me in person, feel free to ask me about this story, because it is too crazy to type out. Maybe one day. 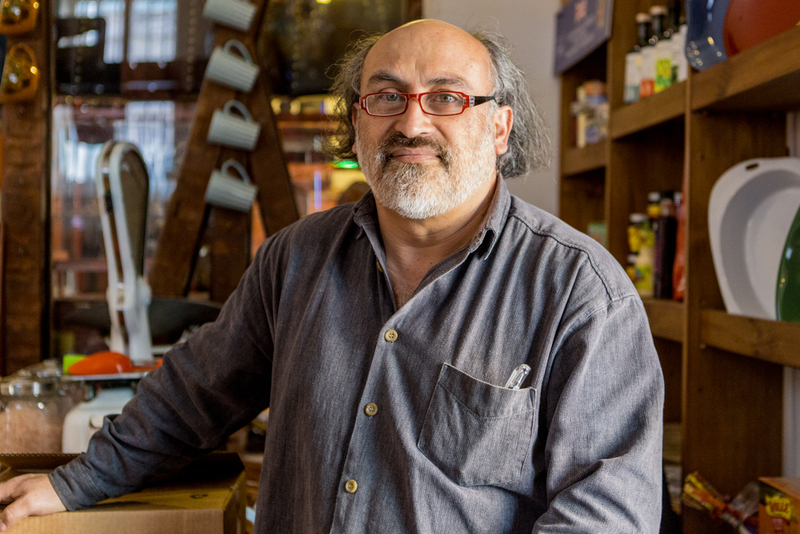 Alberto Melagrana, owner and chef of Antico Furlo, a Michelin starred restaurant welcomed us into his establishment with open arms. 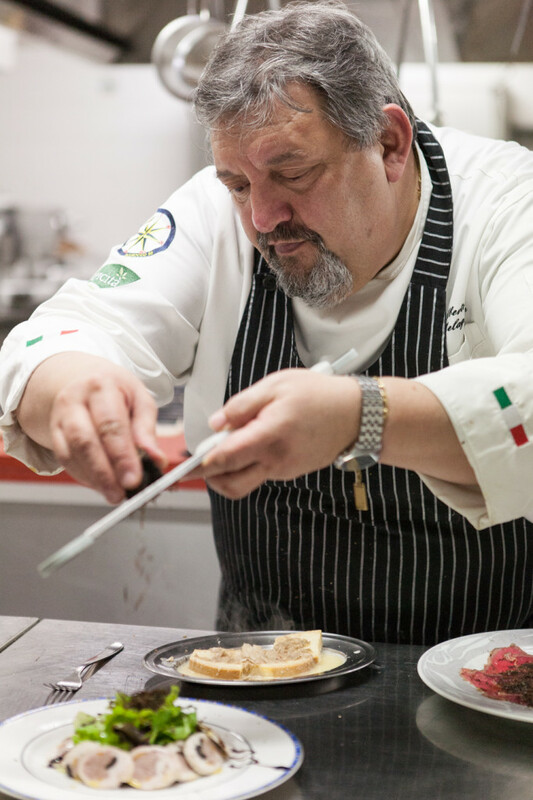 He is known in the region for being one of the best chefs that prepares food with truffles. I am allergic to truffles though. He prepared us a dish each, and even though mine had no truffles, it was still magical. He wanted to keep feeding us but we had to be on our way to make our last vineyard appointment before the sun set. 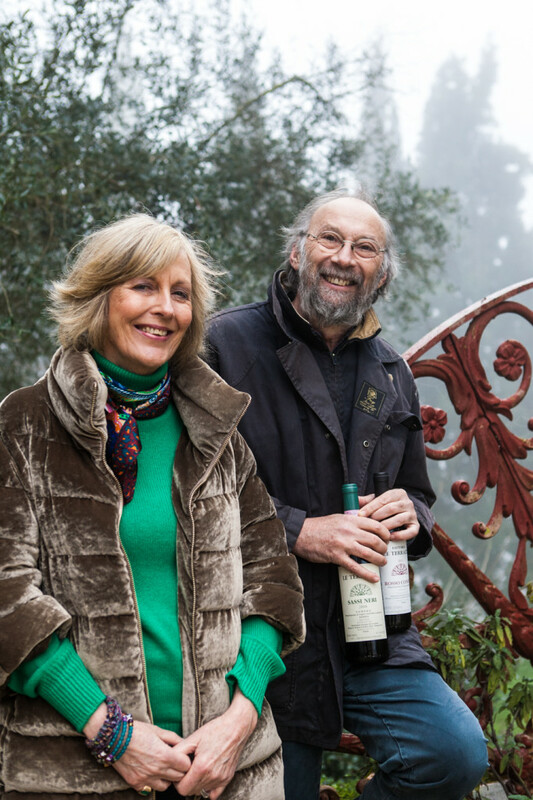 Antonio and Georgina Terni, owners and operators of Fattoria Le Terrazze. He grew up as an Italian in Argentina, and she is British. Very nice folks. He toured the US in the early 2000’s following Bob Dylan. Their wine is amazing. My lady friend from the states came to visit us in Milan and she had planned out this trip to Nice, France. At the hotel she had booked, the maid service came in one early afternoon to turn down the beds, and I happened to have stopped back up to change out some gear. I got to talking to her, and I asked her if she was Filipino, as my mom is half Filipino, and we can spot our own. 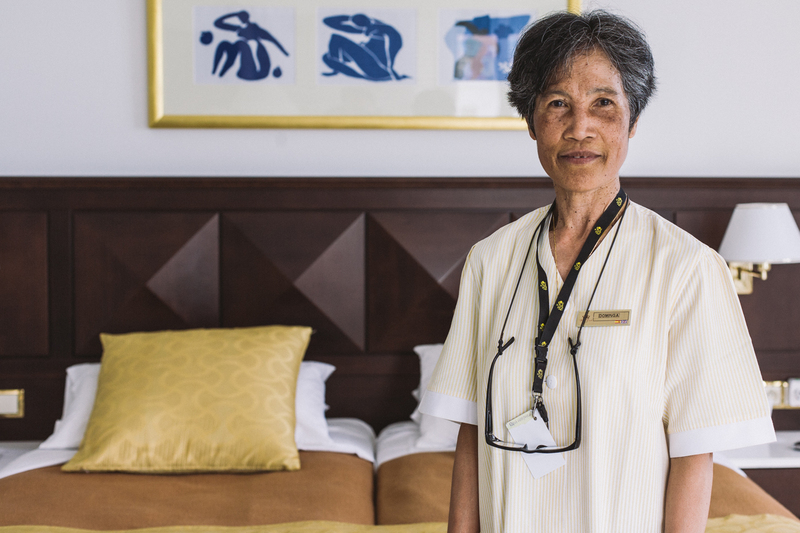 She told me how she had been living in Nice, just down the street in a nice apartment and she loves working for the hotel. Before this she was working in the middle east and a lot of her family is still in the Philippines. She let me take this photo as the sun light reflected off of the Mediterranean sea across the street. 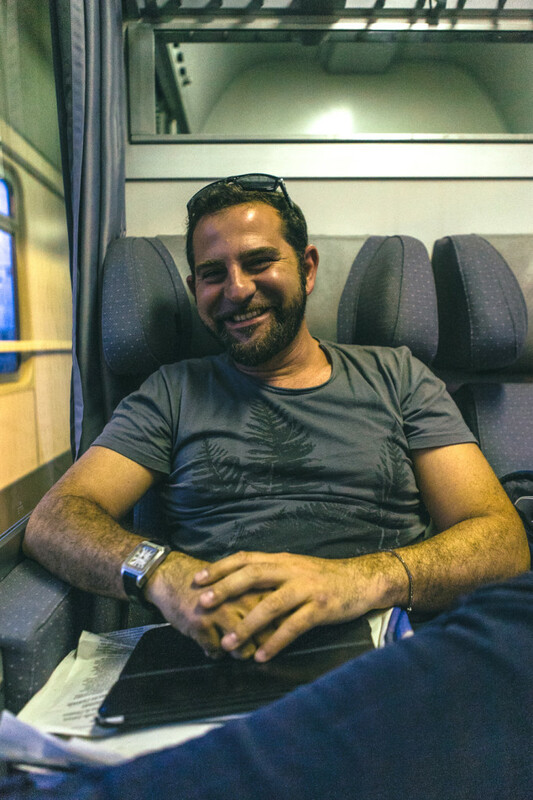 On our return trip to Milan from Como, we found ourselves sharing a car with a young Italian man, Antonio, from the region of Puglia. He had asked me if I had a cell phone that he can use, and if so if he can use it. He explained that his phone had died and that the train that we was on was four hours late, and that his girlfriend was going to kill him. Sounds legit enough. He shot her a text and she called back and he had a conversation with her explaining the situation. After the phone call, we conversed about what we were all doing with our lives and he told us that he was working with a very famous eye-wear company, and working in Geneva, living in Geneva, and only getting to visit his girlfriend and his dog on weekends or nights that he had free. 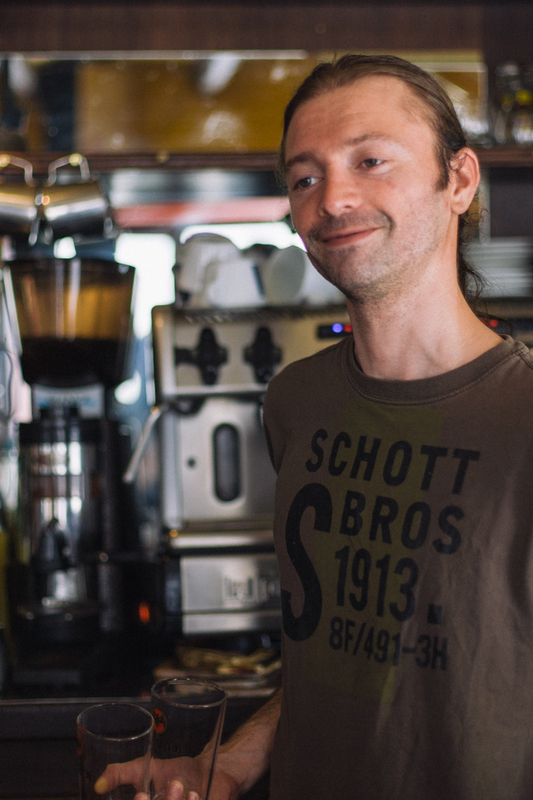 Because of the taxation in Italy and “the crisis”, Italians are finding jobs in the surrounding countries such as Switzerland, where the taxing is far less. 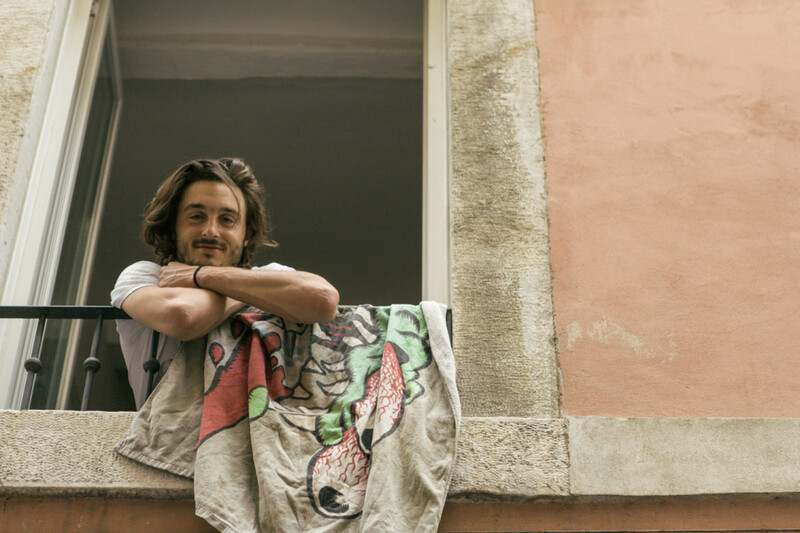 He has a good set up keeping his girlfriend in Milan so that he can stay close to home, and holding a residence in Switzerland to avoid being taxed on his well paying job. He also told us that every two years, the company had the right to place him in a different international location and that he has three chances to say no. No matter where he could end up for his next term with his job, weather its Qatar, Tokyo, LA or New York, his least favorite place would be to have to end up in LA. He has to go to LA for an event and he’s not looking forward to it. It’s too fake he says. He enjoys New York and would love to visit Chicago, but doesn’t like LA too much. New York, Chicago and San Francisco are the most similar to European cities and he would feel more comfortable living in one of them. English is spoken in all the offices that he gets to work in and visit, no matter where, and who he talks to. He says we are very lucky to have English as our mother tongue, and we explain that we wish we were all as fluent in other languages. 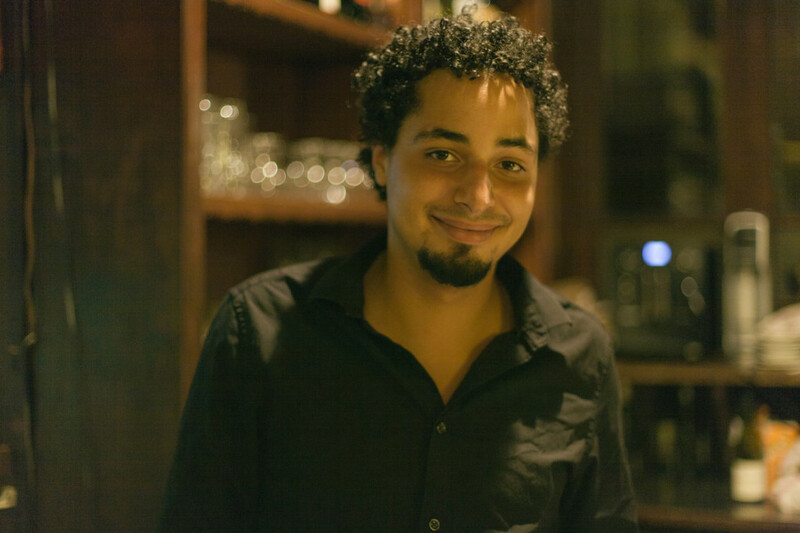 He gave us some tips on restaurants to go to, recommending one to go to and dropping his name for a discount. 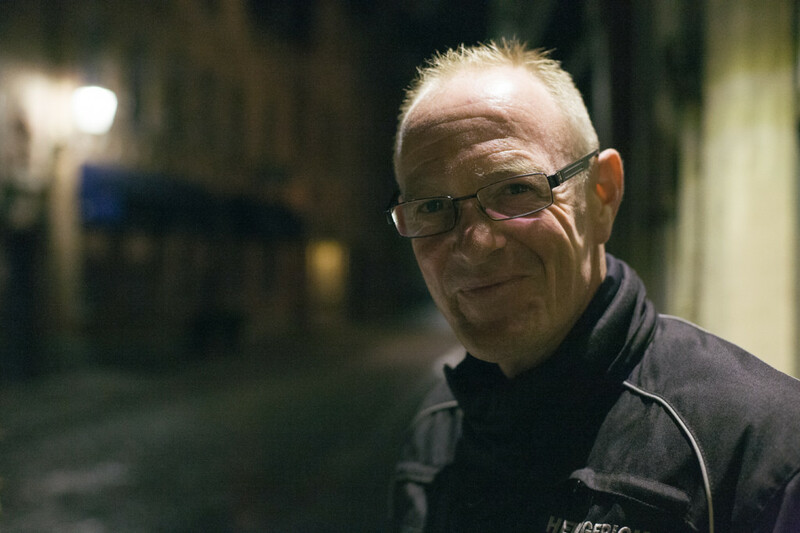 I tried to take his portrait, but the lighting was bad, and I was only traveling with a 24-70 f2.8. At the end of our trip, he thanked us for helping pass the time, thanked me for letting him use my phone, and even gave me the pair of his company’s glasses he was wearing, as a thank you. 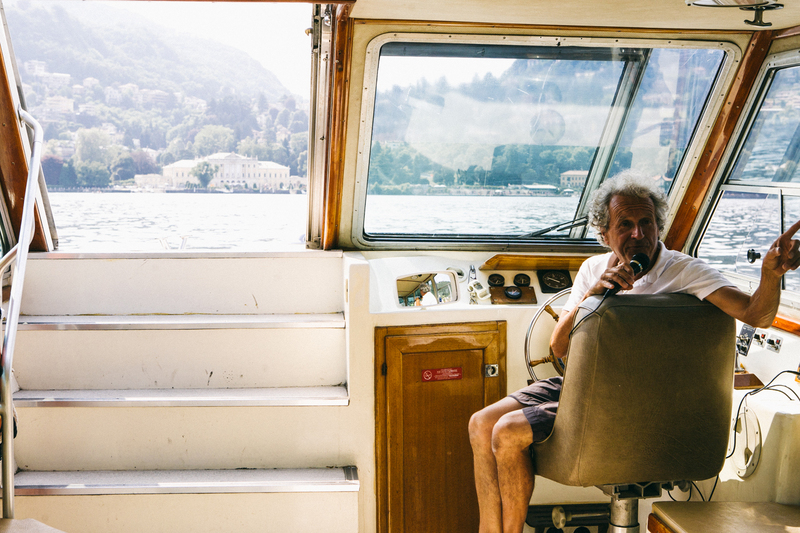 Ignazio was the man who gave us the private boat ride around Lake Como and dished off a lot of good knowledge on some of the history of the homes that are on the lake. 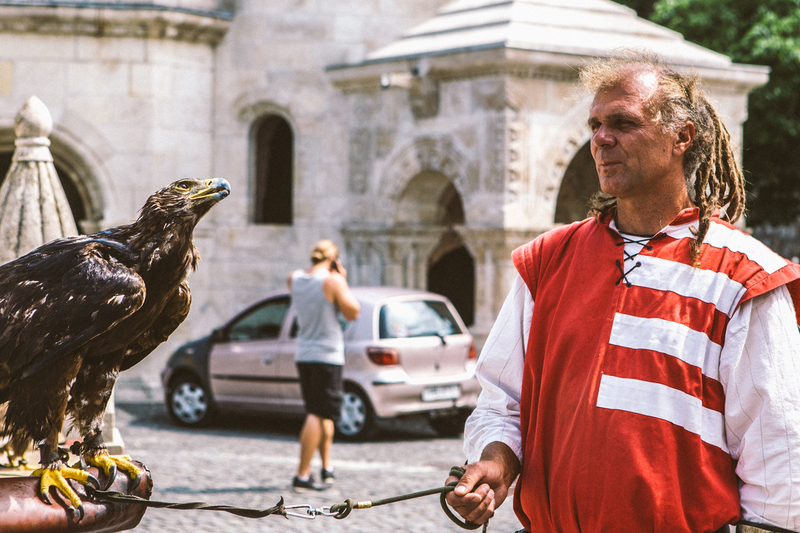 This guy, I have no idea who he is nor did I talk to him, but this was in Budapest and who walks around with a hawk on a leash? Yeah it’s cruel, and he should let the bird go free, but I don’t speak Hungarian, and I wasn’t about to start liberating animals at that point. 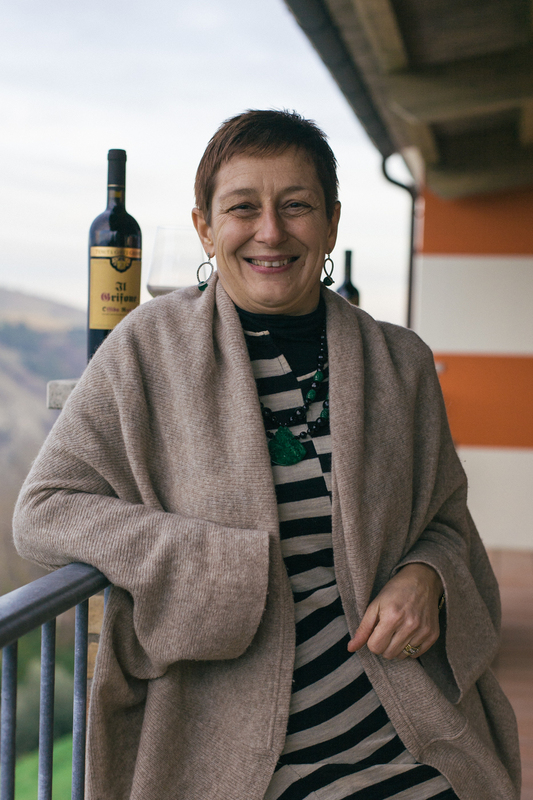 This is the owner and inns keeper of hotel and restaurant L’Infinito in Marche. He let us come in and check out his property and take photos of the rooms and restaurant. 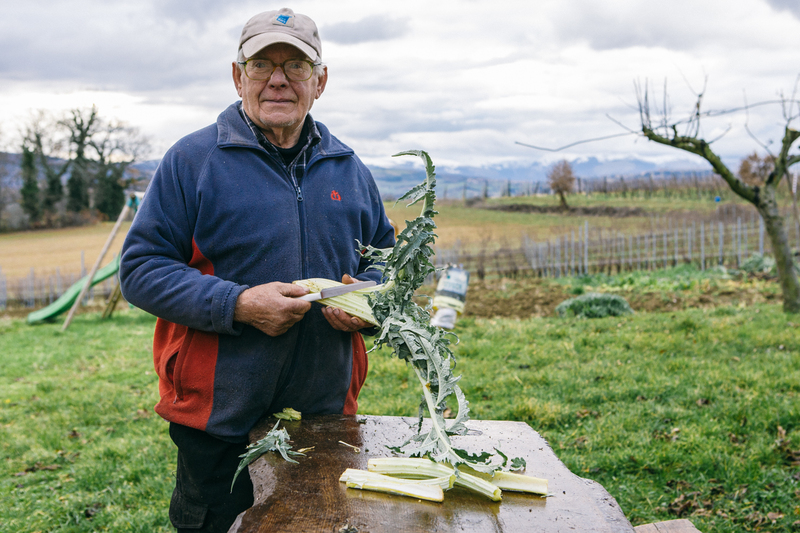 He even had the chef prepare us a nice veal dish but we couldn’t sit down and eat it, we had someone waiting on us to bring us to the next vineyard. The father of Fabio Collestefano. 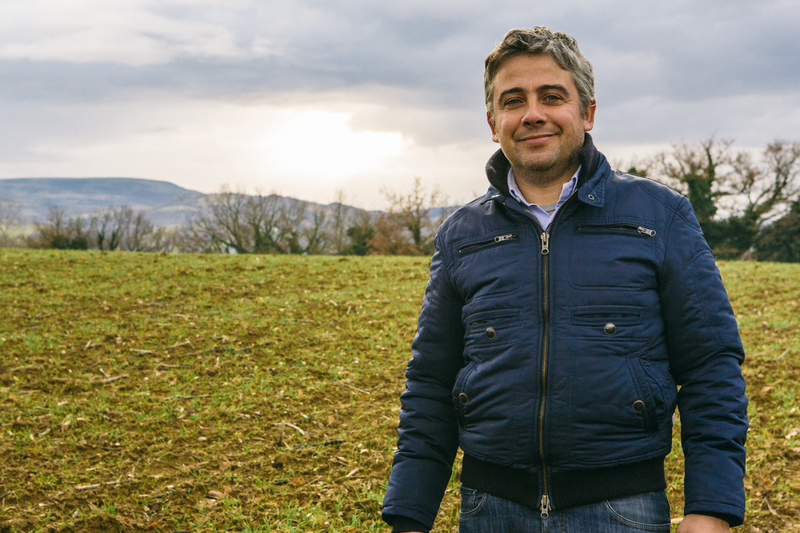 This is what an Italian farmer looks like. 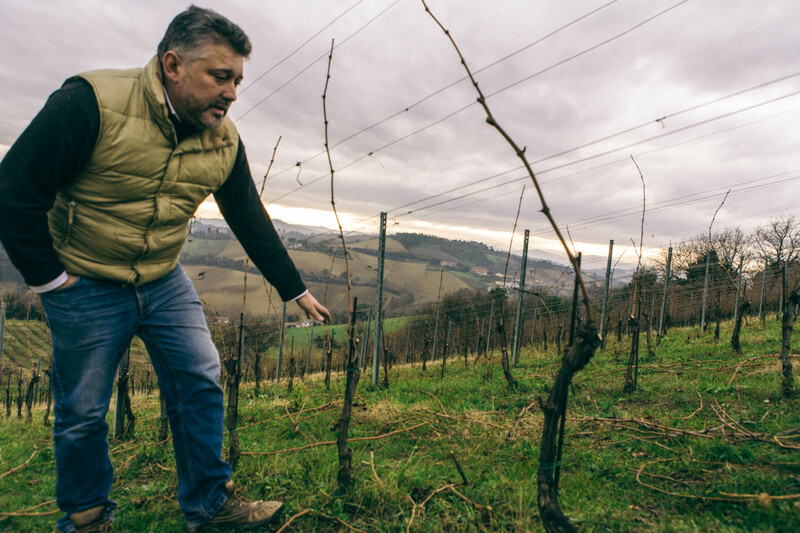 Fabio Collestefano is the owner of Collestefano Vineyard. We got there late the night before, but he and his wife greeted us at their door and had dinner ready. We ate pork that had been slaughtered a few hours prior to our arrival, potatoes that were picked from his garden, and drank wine and Aqua Vita that he had made himself. 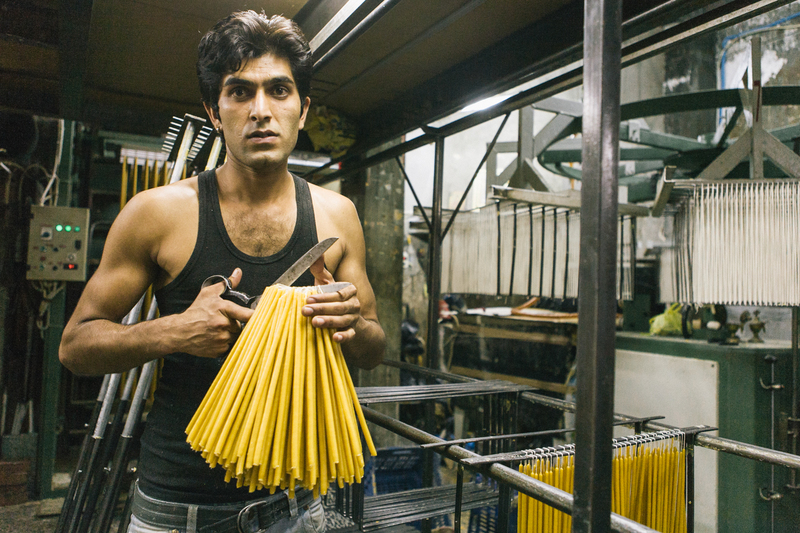 This is the working man of Italy. Having a large plot of land, that he and his family had lived on for most of their lives, he runs a completely Biological establishment. They invited us to stay at their guest apartment attached to their main house for the night and I woke up at the sunrise, put on some knee high rubber boots, and toured his property while taking pictures. He spoke very little English, and I spoke even littler Italian, but we managed to communicate and converse for the two hour tour around his estate. He loved having us, and I’d have to say that he and his family were the nicest, most wholeheartedly genuine and friendliest people I have ever met in this world. 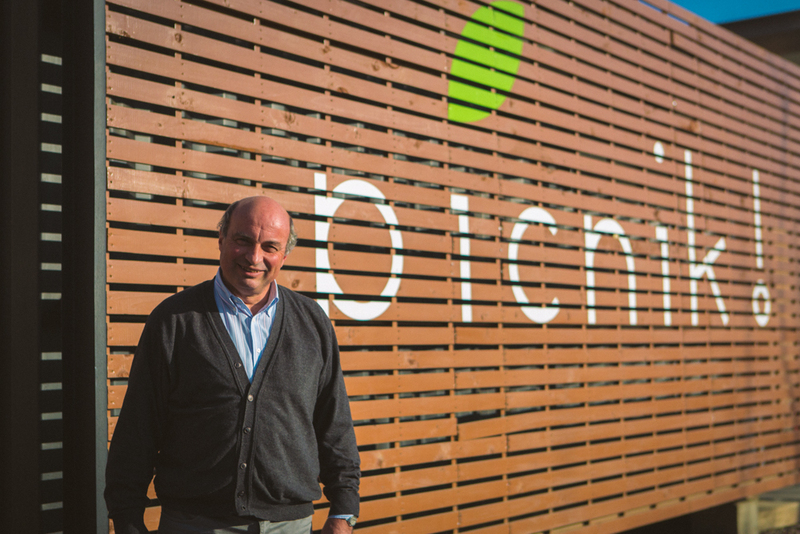 The owner and operator of Cocci Grifoni. Loveley woman who runs the vineyard. She had a busy day with visitors, so she sent us on our way with her mother, probably in her eighties and the company’s PR guy, to tour the land in a manual 4×4 jeep. 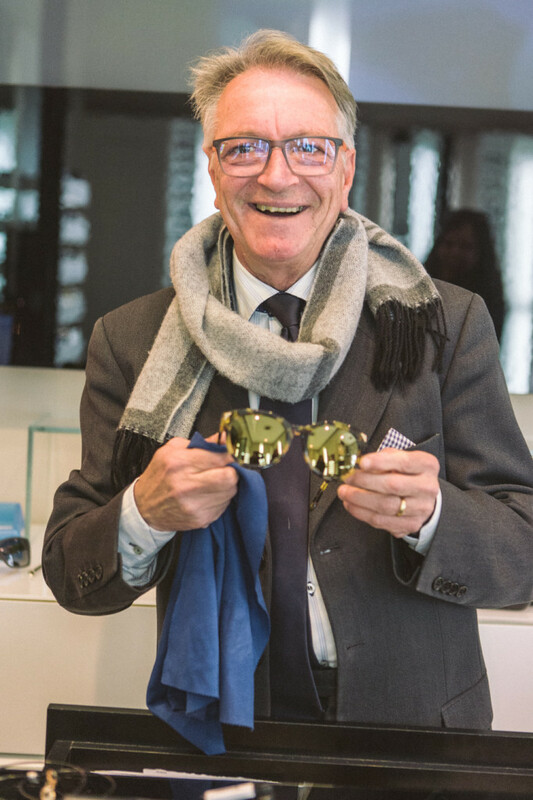 In Sicily, this is the guy to go to for great service in the field of sun glass sales. Linda Tol and her boyfriend Renwe Jules. Linda is a famous fashion blogger whom I first met during fashion week in Milano, and then reconnected with her in Paris. 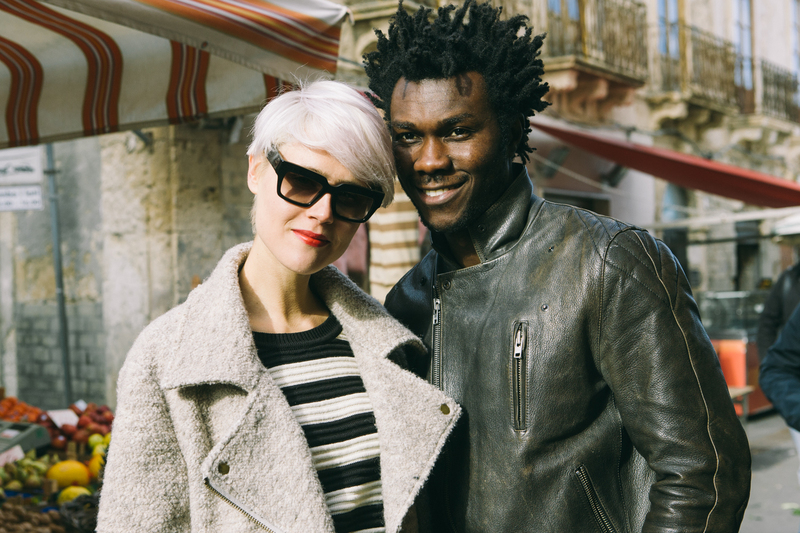 When we were vacationing in Sicily over Christmas, we randomly ran into her and Renwe at the market as we were passing through. Some real small world type stuff. 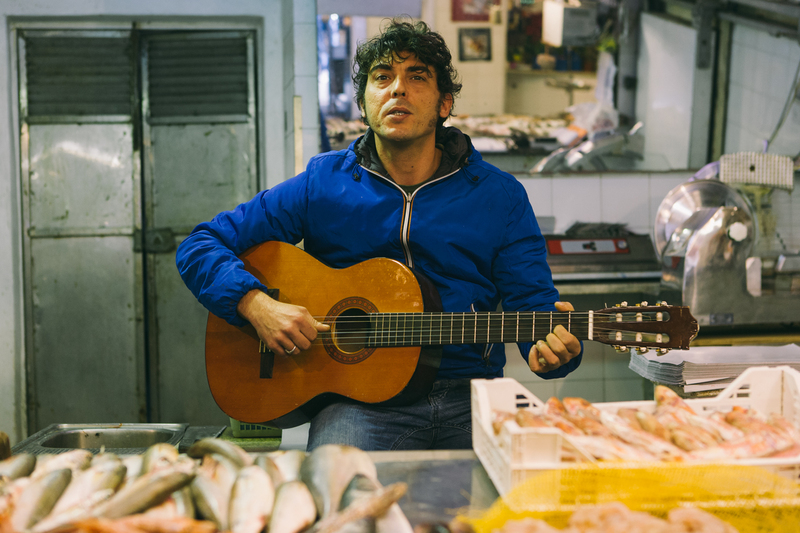 This guy just sat there playing the guitar as people walked in and out of the outdoor markets in Sicily. My girlfriend’s mom hired a chef to teach us how to cook Sicilian dishes. 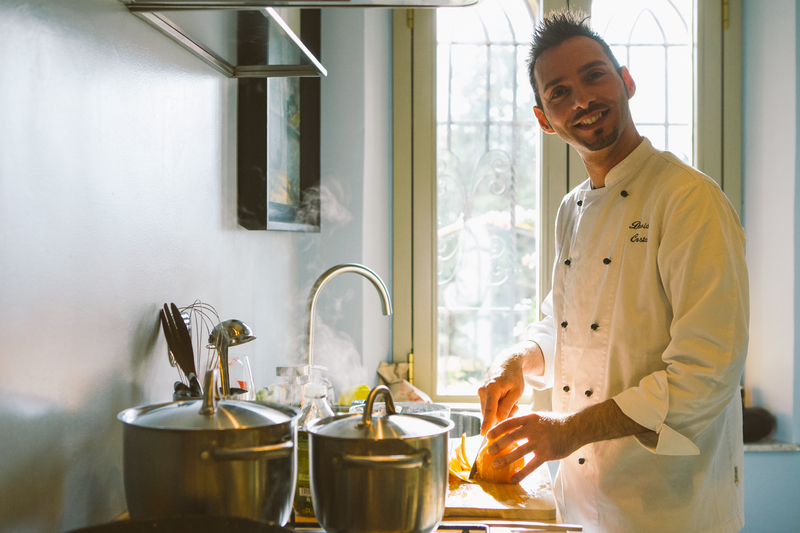 Davide showed up, took us to the local markets and then took all of our ingredients home and prepared us a pretty good meal. 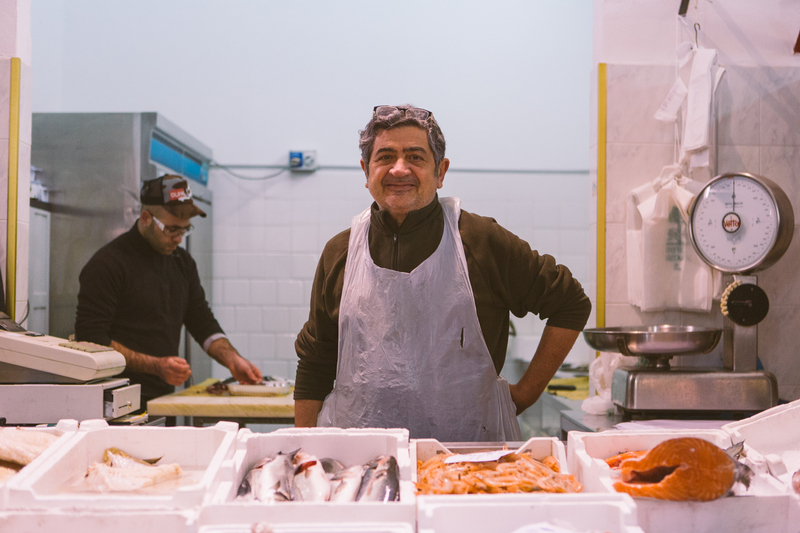 In Taromina Sicily, this was the guy who went to for some fish. Istanbul is one of the coolest cities. It’s a sensory overload as you can get anything you want to eat at any time at these little wheelie carts. 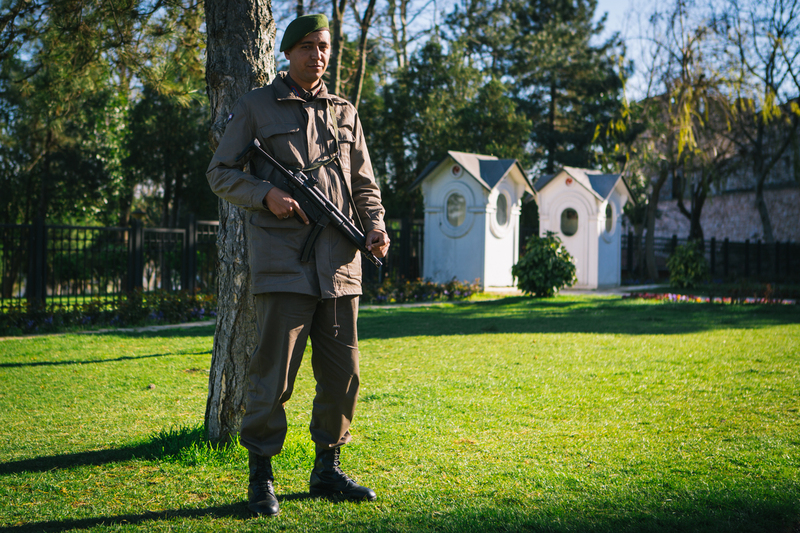 This guy was stationed up on Taksim Square, a really busy street for both locals and tourists. I sat in the same spot for about 20 min, waiting for the perfect timing to take this photo and fought with myself if there should be a lot of people, some people, or no people. I fell in the middle. The fish market area in Istanbul is amazing. You walk along the port and there are just tons of people selling freshly caught fish. They are constantly throwing water on live fish, and they have little tubs of fish that are still alive and flopping around. The people are wearing tall rubber boots because the whole area is wet. This particular guy stopped us as we were browsing, and he showed us how to feed seagulls that he had trained. This turkish dude was funny. He kept hitting on my girlfriend and she was soaking it up. 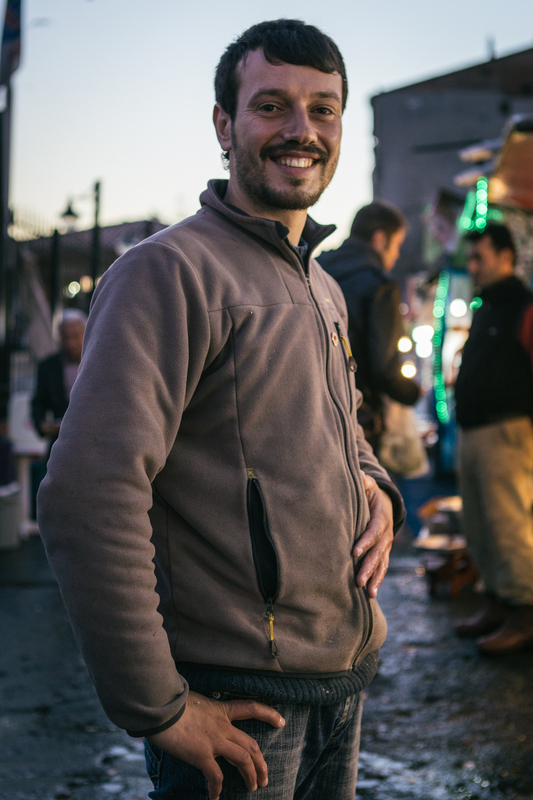 He worked at one of the more famous pastry shops where we stopped in for some Baklava and Chai. 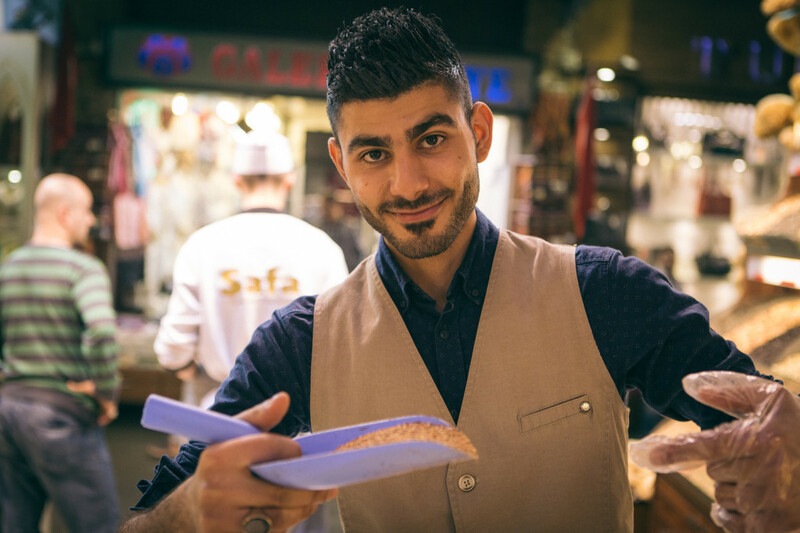 We sat outside and took in the hustle and bustle of Istanbul, and before we left, he kindly let me take his picture, but his friends and co-workers had the last laugh. This armed guard at the Palace in Istanbul is not messing around. I slowly brought my camera up to my face, not wanting to cause any subtle movements, and once he looked at me, I pointed at my camera, and he gave me the nod, stole some images, and carried on my way. 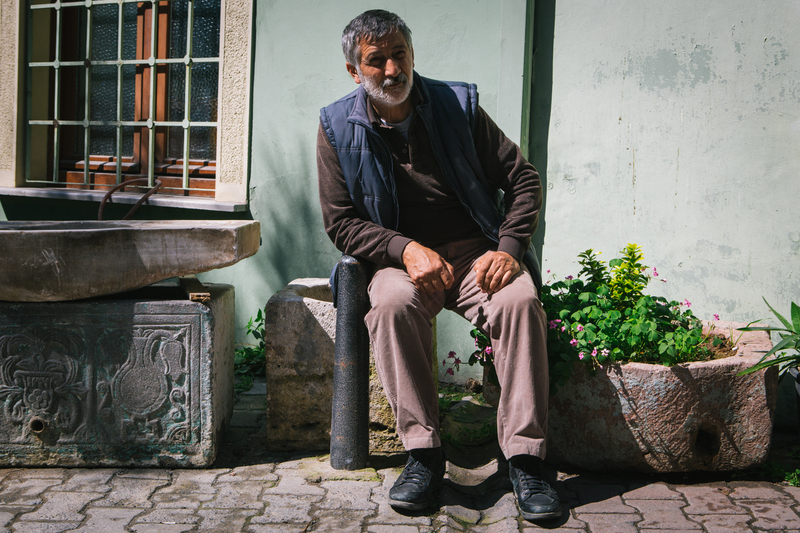 This guy sat in on this planter in front of the apartment we rented in Istanbul all day. The area is known for having reclaimed antiques and pieces of stone and it’s a great place to shop for old pieces, if you can afford to have them shipped. I’m not sure what these guys do, but I imagine they are some kind of Turkish safety team. Maybe a coast guard? My girlfriend called them hot cops. I went to take their picture, and once this guy looked at me, i pointed at my camera, and he basically gave me the stone cold face you see here. No emotions whatsoever, so I didn’t know if he wanted me to photograph them or not, but I walked away with this shot anyway. Instead of crosswalks, they have underground passes when you get close to the Bosphorus strait in Istanbul. 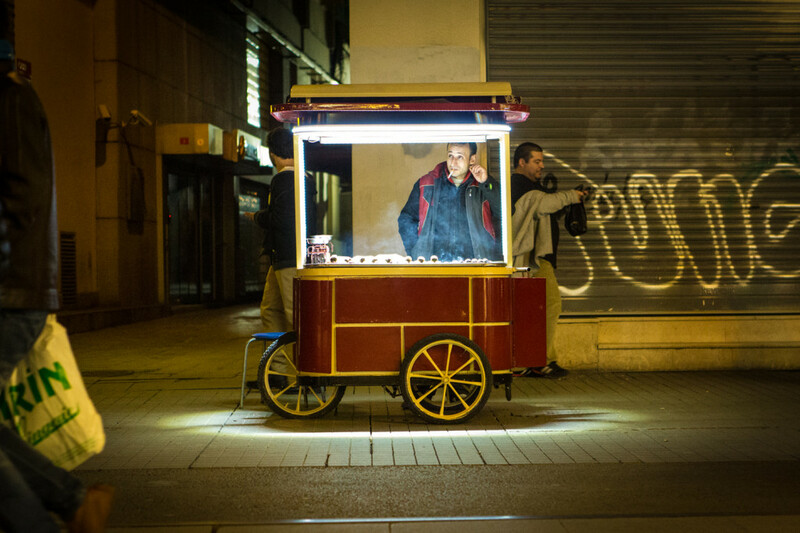 In these underground walk-ways, you have street vendors selling all kinds of novelties. 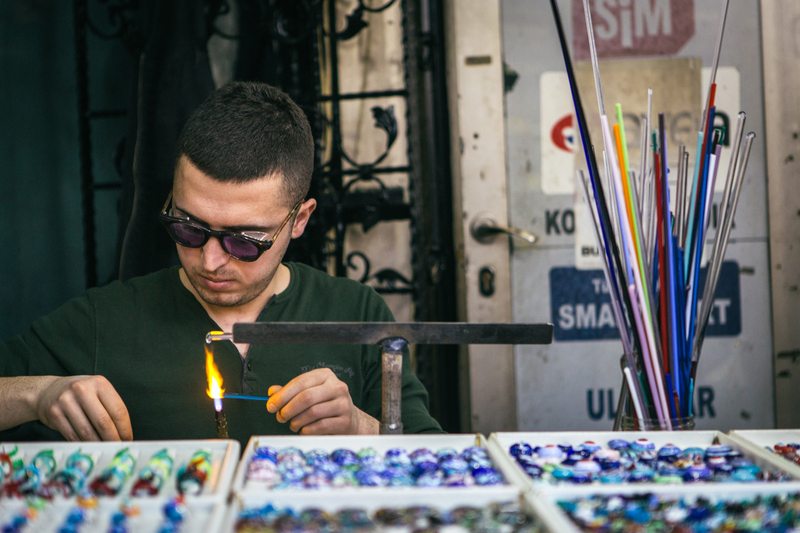 This guy was melting glass to make the infamous third eye pendents. Chestnut roasters area common street vendor in Istanbul. Again, I shot from a distance and we exchanged nods for this shot. 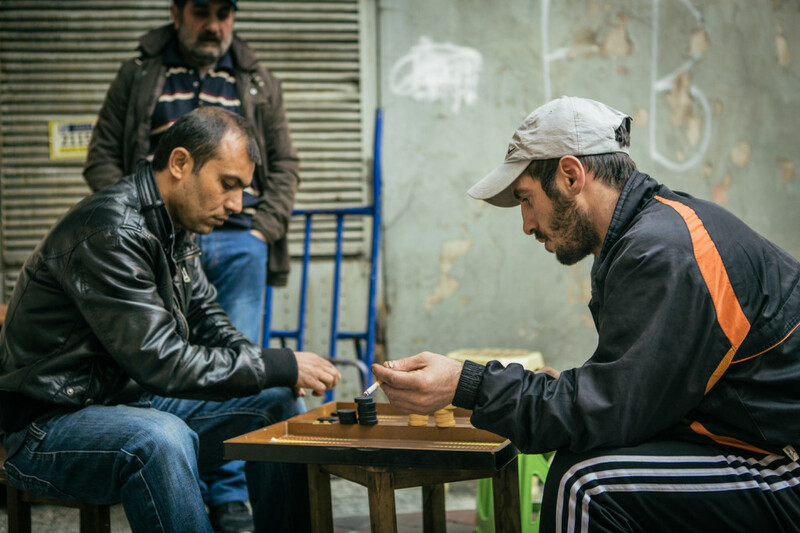 I dipped off into a little courtyard in front of a church, and found these fellows playing a very intense game of backgammon. They saw me, acknowledged my presence and i figured that was an approval to take photos. I circled around their game and they never broke their concentration. 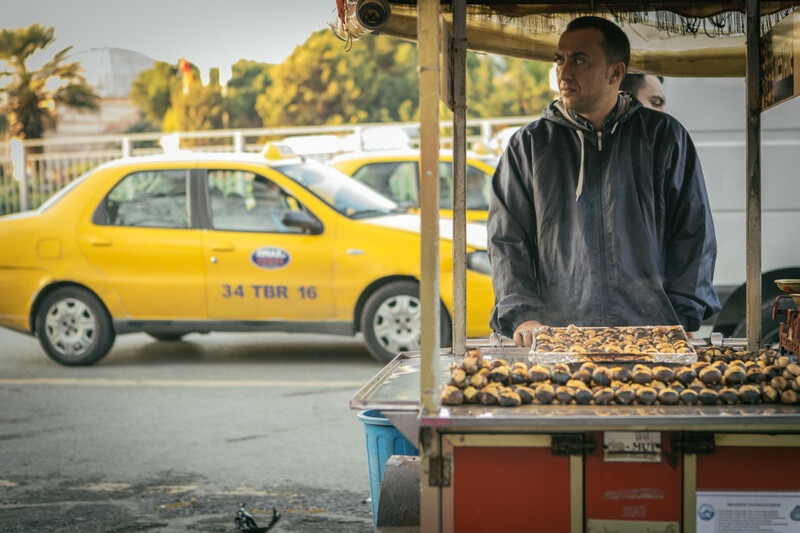 This is Istanbul, and for me this is what represents Istanbul street food at its best. This slimey little salesmen in the spice market was a douche. he tried to sell us on everything. We told him what we wanted, then packaged up what we wanted and then some, and then told us the amount and it was exactly what we didn’t want to spend. But he did know how to write in Lebanese Arabic so he wrote a message on our package that he addressed to our Lebanese friend and she thought it was cute. I still think we overpaid for our Turkish delight. So many people fish off of the bridge that crosses the Bosphorus strait and I can’t imagine growing up in a city like Istanbul. 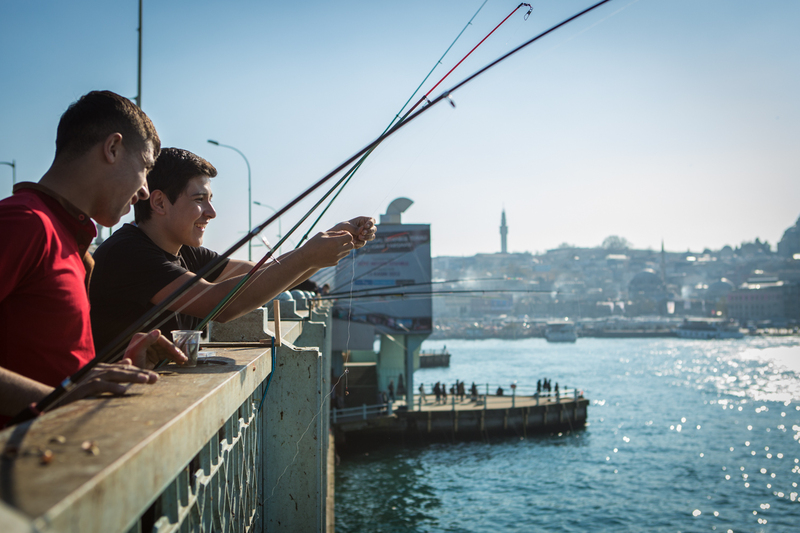 It would be crazy to reminisce about summer spent in Istanbul with friends, fishing on the strait. It’s surreal. This crazy old man walked into my shot and I continued to shoot. He actually started to yell at me in Turkish. He sounded unhappy. Federico was a friend of Marcone in Carara. 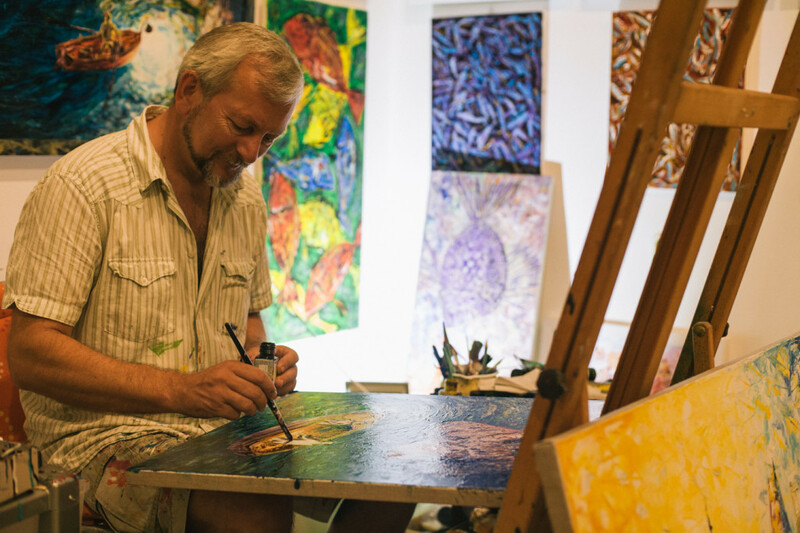 He was born in California, went to school in Germany, and was studying art in Carara. He was kind enough to let me crash on his guest bed for two nights and I showed him some interesting music videos that he dug. Street food in Berlin is a must. 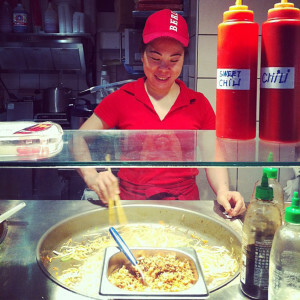 This lady would make noodles with duck. I ate there twice. When you haven’t had American Chinese food in a while, this is the fix. And this is Marcone. You met Marcone’s dad up top. 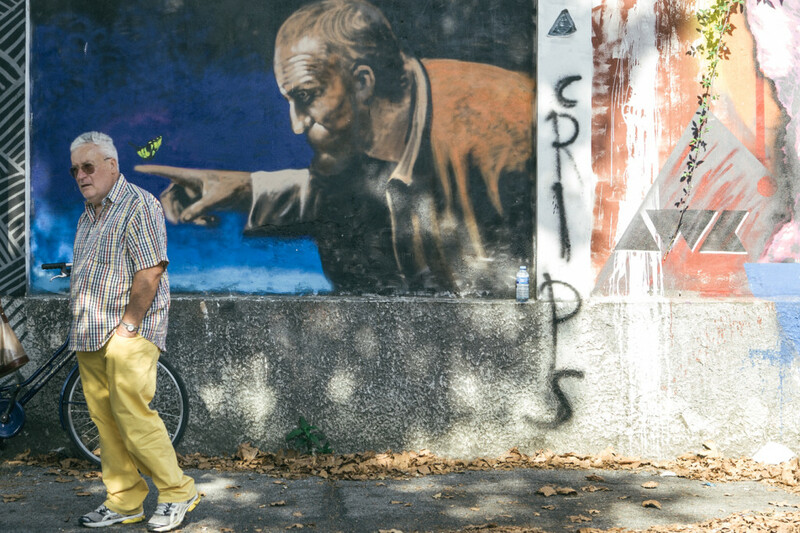 He is a big staple in the organization of public art projects in Carara. Super cool dude. He showed me around, invited us to lunch with his family, and over all hosted us while I visited Carara. 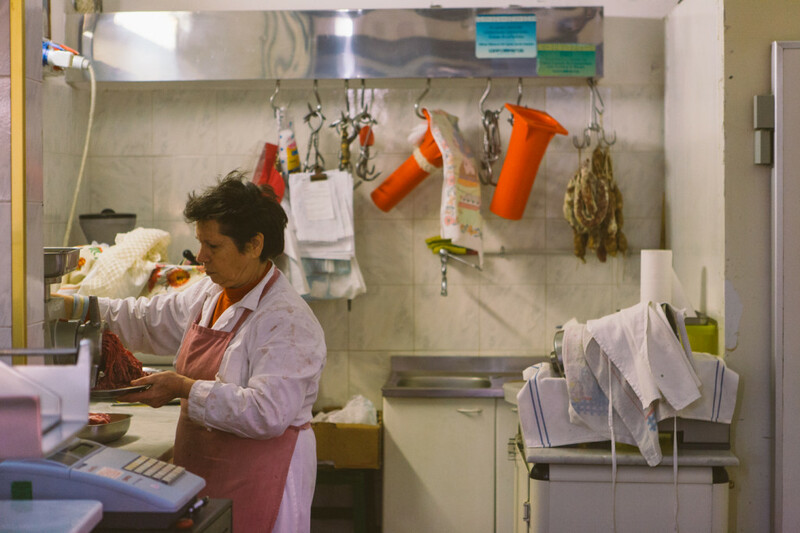 This woman was a butcher in the Sicilian market. She did not want her picture taken. 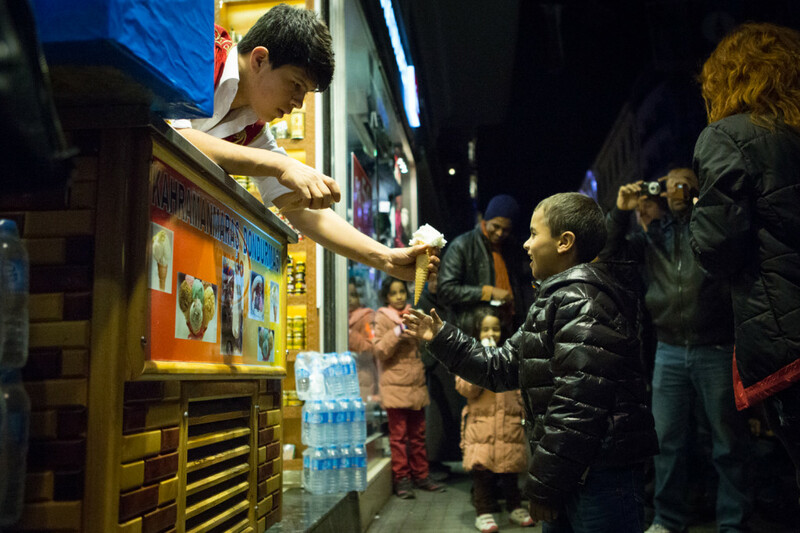 An ice cream vendor in Istanbul put on the best show I’ve ever seen. He would attract crowds on the street with the tricks he would pull off with three ice cream cones and a an ice cream scooper that had a two food long handle. A true showman. 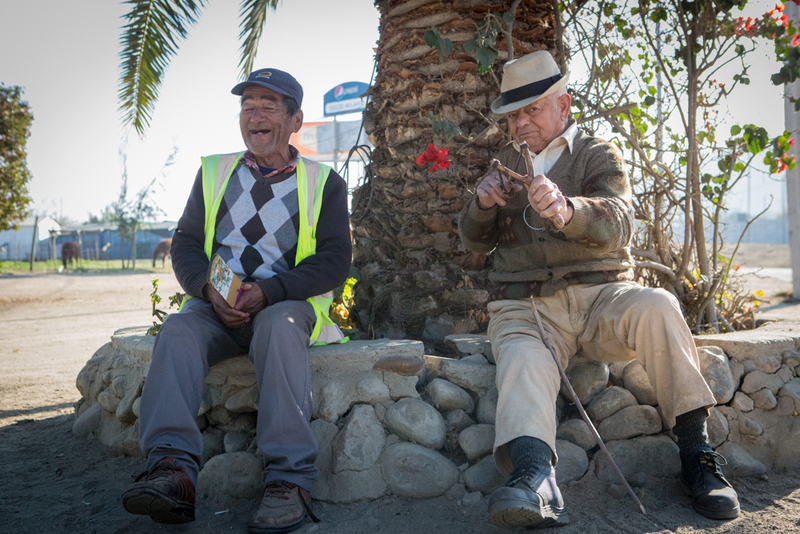 These were the parking lot attendants in a small roadside restaurant right outside of Santiago. Basically you tip them something small, for no reason at all. Maybe just to watch out for your “fellow less fortunate man”. These two old gentlemen were awesome. I asked for their picture and the man on the right struck the pose with the sling shot, and the man on the left lost his mind revealing not one darn tooth. I think they sit there all day and direct you were to park your car, even though most places we stopped along the highway, it was pretty apparent where to park. This was very common all over Santiago and Valparaíso. This is Vadinela. He was our recommended driver between Santiago and Valparaíso. He came highly recommended as a friend/family member from one of our friends here in Chicago. He was pretty amazing. He showed us all around Valparaíso in car, drove us through places which he recommended we don’t walk through on our own and took us to some super amazing places to eat. 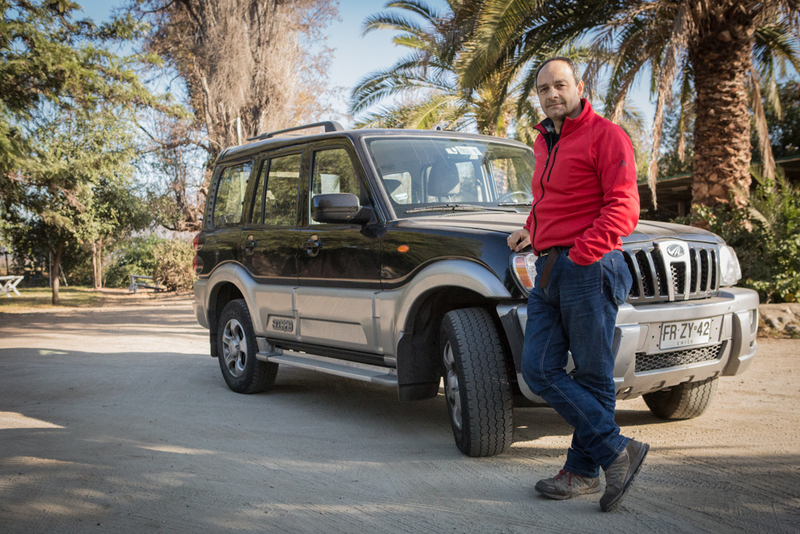 Sure he probably gets a kick back at some of these places, for this is his job, to transport tourists between the two cities, but he was kind enough to spend the whole day with us, showing us the complete city and stopping at roadside stops and vineyards along the way. On the last day, we found out his real name is Juan. Mr. Ariztia — our friend Guillermo’s father. 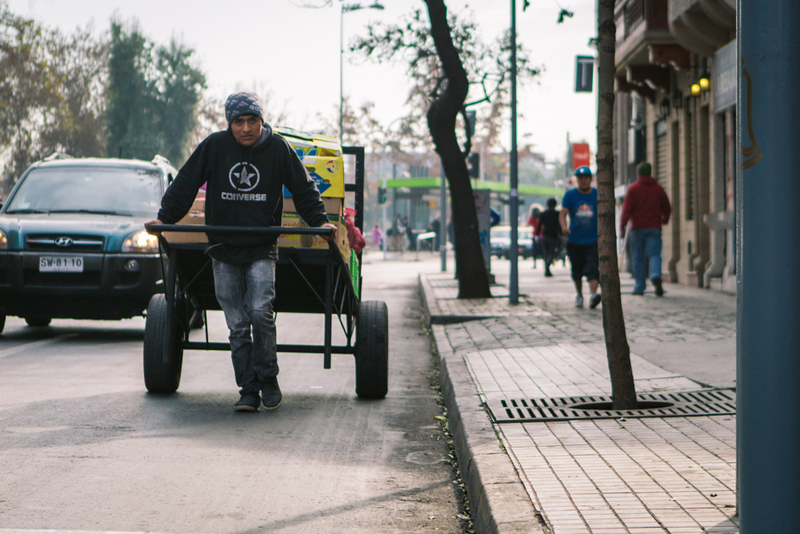 The man who is running his son’s outdoor cafes in Santiago. This guy is full of stories about how Chile used to be under the strict dictatorship and has lived in Santiago through all of it. Now he is retired from his job and manages three locations of Picnik! I designed that logo back there. 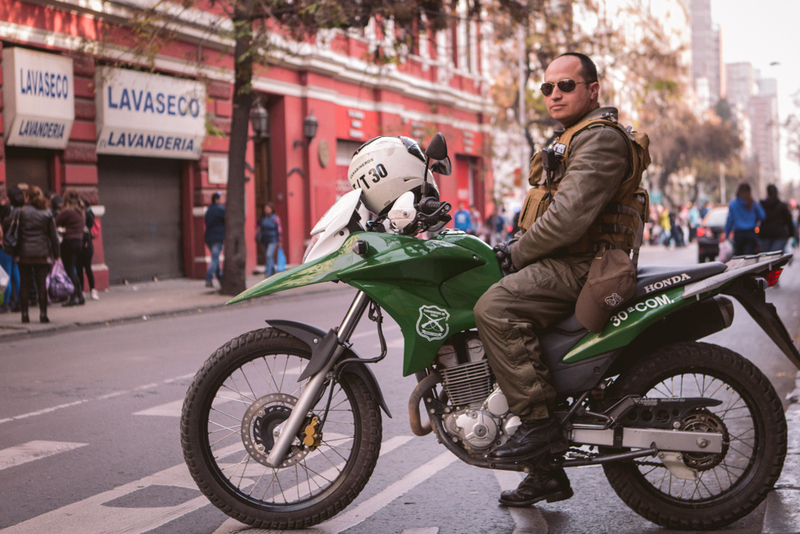 This is what a officer of the law looks like in Santiago. He sat there for a while, talking to another officer on a dirt bike. He gave me the knod. I clicked and walked away. I never got to engage with this young man, but we saw a number of people, later in the morning, transporting produce from location to location, competing with the automobile and public traffic on the street. This man is how I plan on looking in 30 years. Fresh to death. 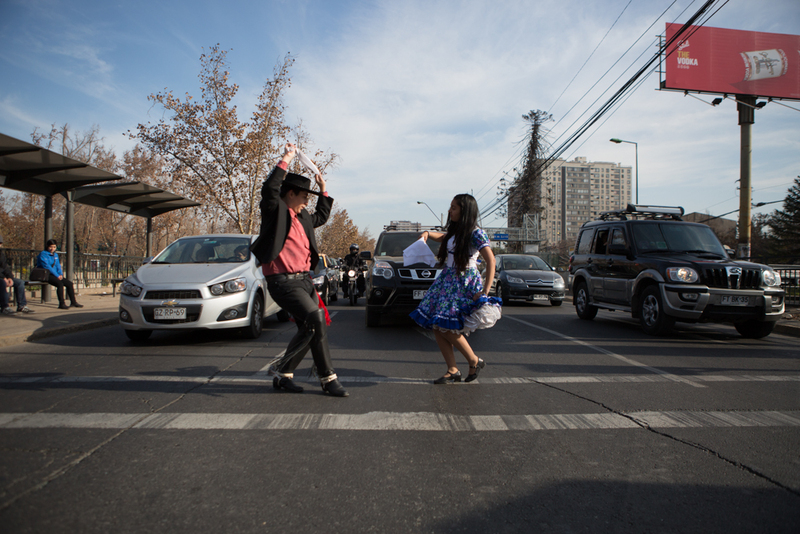 In Santiago, at cross walks, they have entertainment. As you can see here, the traffic is stopped, meaning this goes on at red lights, and it’s not your typical entertainment. they have the timing down. 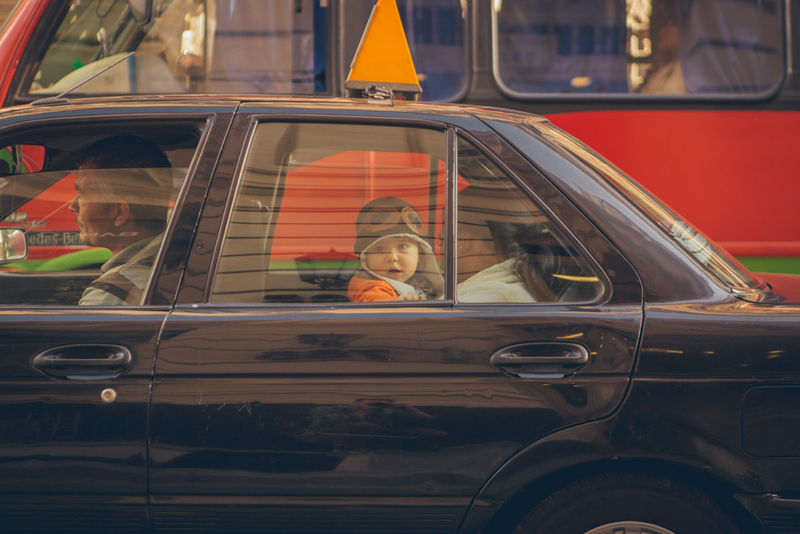 The cars stop, the entertainer runs out into the street, quickly gets on to what he wants to do, probably counting down seconds in their head as it’s happening, then running down the aisles collecting coins from the patient people waiting at the light. 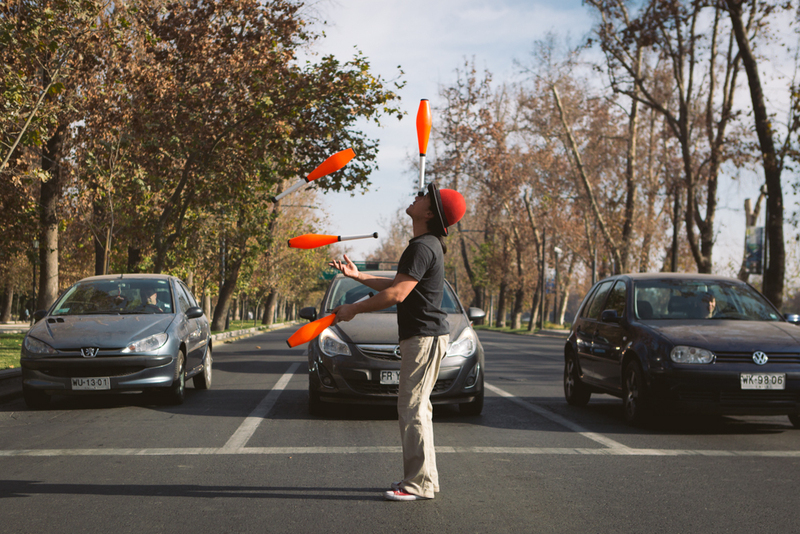 This guy is a master juggler. This next duo, was part of a group of like 10 kids, all dressed in what I’m assuming is some kind of traditional Chilean fiesta gear. They would go out and dance, then on the next red light a new group was out there, and so on and so forth, rotating out at each red light. I didn’t get a photo, but there was one guy who popped up onto like a 5 foot high unicycle and played the violin. It was nuts. And he did this for a number of red lights. I’m sure if you are a student or homeless, and you have a talent like this, you would be able to survive on the streets and not go hungry. I never got to meet this kid, and I took this from a moving car, but I sure do like how it turned out with the city and industry in the background. This is Nacho. 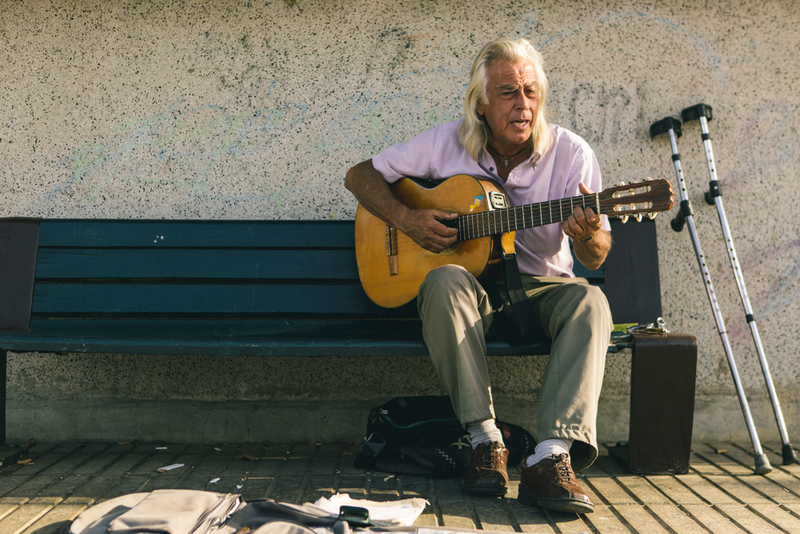 A musician in Valpo. He is the brother-in-law of the person who we rented our apartment from. 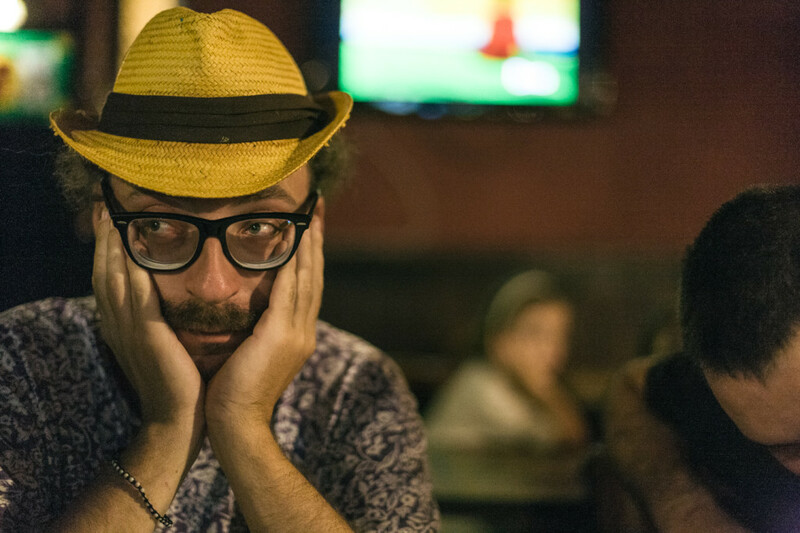 This is the owner of Cafe Vinilo in Valparaíso. It is a great little place that serves some amazing food. 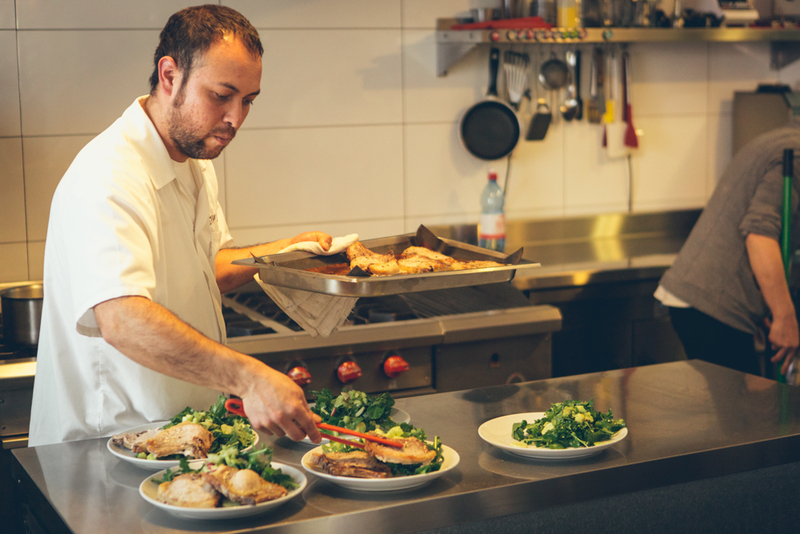 I got a chance to take some photos of the chef in the kitchen. They know a lot about wine pairings. 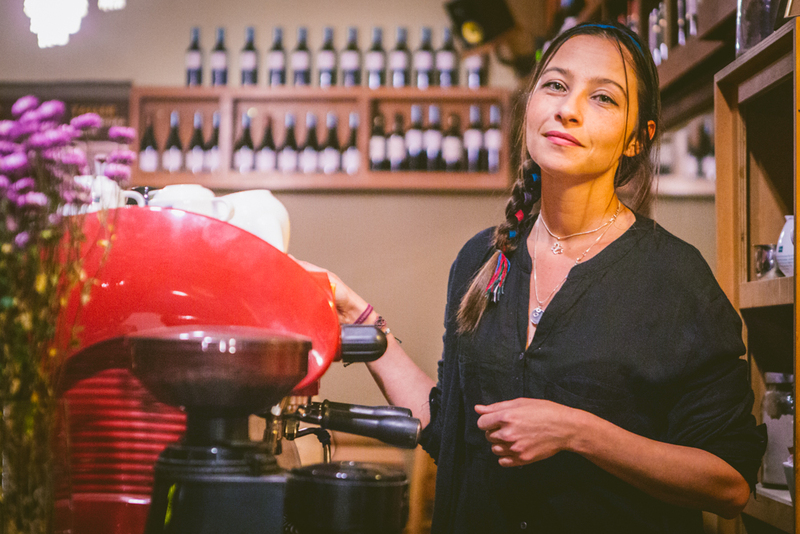 This young girl worked at Cafe Vinilo. She is originally from Italy and has been in Valpo for some years. She gave off a vibe of being super relaxed and very care-free. 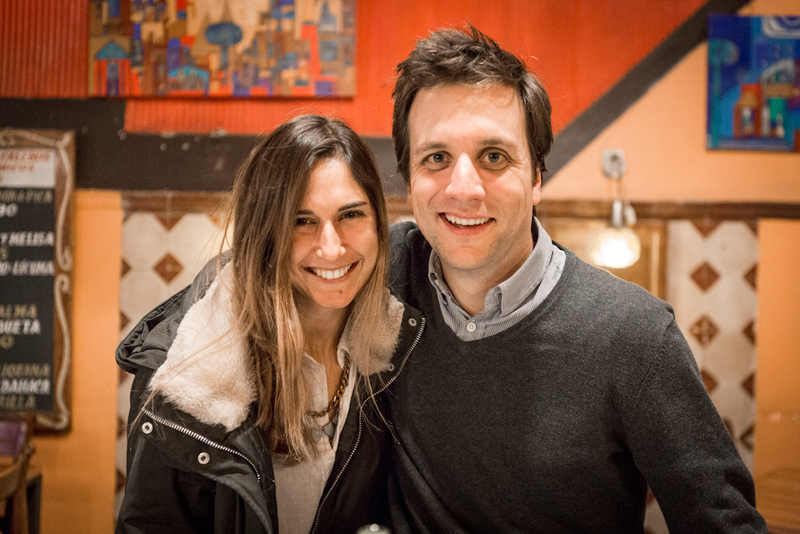 Sergio and Sara are friends with Guillermo and Pilar, the couple whose wedding brought us to Chile in the first place. They live in Santiago together but came out to Valpo for business and met up with us, showed us around the neighborhoods for some cocktails and dinner. They were set to get married shortly after I took this picture. 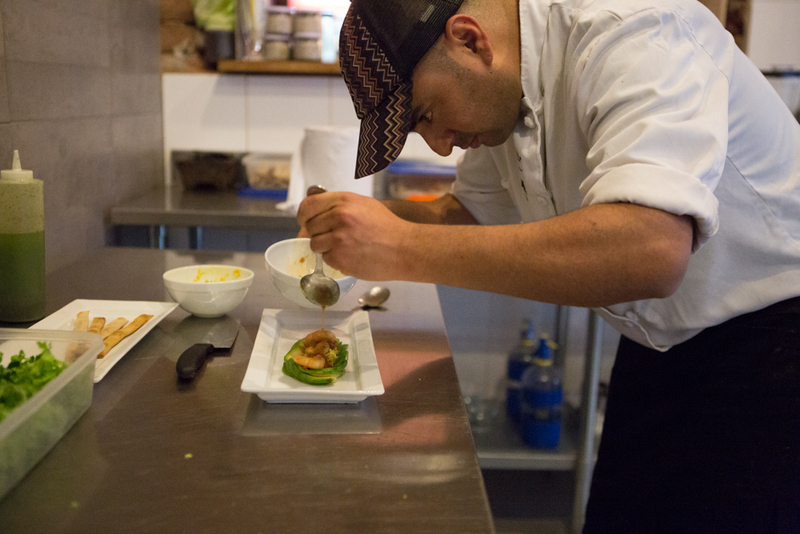 The chef at Cafe Vinilo doing what he does best. Everything we ordered at this place was delicious thanks to this man. I don’t know much Spanish and he doesn’t know that much English, so there was a lot of pointing and smiling while I was smiling, nodding my head and clicking. The bartender at Bar Ingles. I always try to find the places where the locals hang. We were walking around the center of the city and we passed by this place and I immediately recognized what appeared to be a place that isn’t yelped or trip-advised. 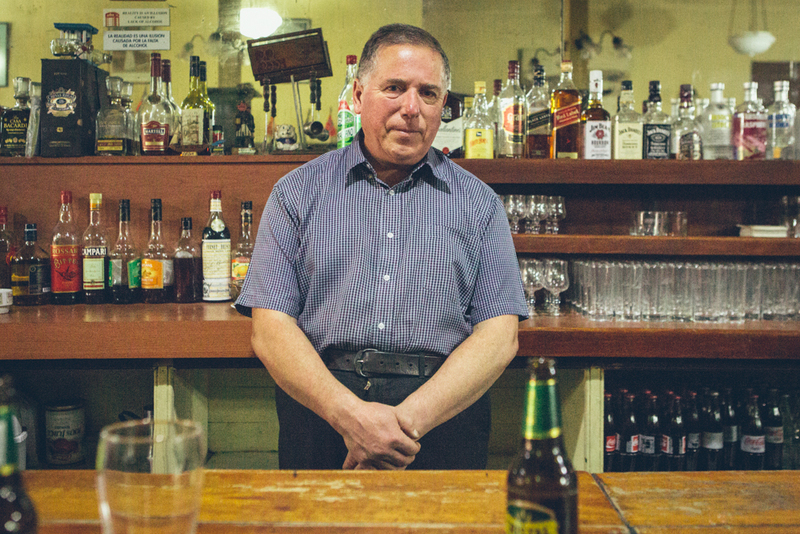 The bar was old, large and classic, and there were no TV’s. A perfect place to stop in for a mid-afternoon drink along with the rest of the locals perched at the bar. This day the crowd consisted of about 8 people and a handful of waitresses sitting around, folding napkins, waiting for patrons to order off the menu. This gentleman was very kind, didn’t speak any English, but when I pointed to my camera to signify a photo, he stopped what he was doing, matted down his hair, folded his hands over and leaned against the bar. A natural. This is a random Chilian baby who would not stop staring at me while I was leaving Bar Ingles. Maybe one day he will be the president of Chile. This guy. 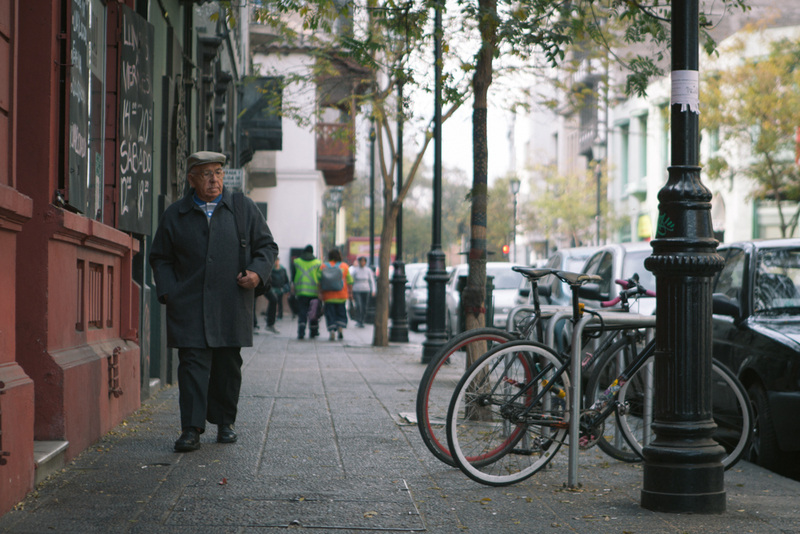 While wondering the city center of Valparaíso we took a pit stop to reconfigure our location and our destination. While sorting through some maps on our phone, this stranger started talking to us about where we were from. He called us out that we were from the US and that he loves the US. A lot of what he said we couldn’t understand, but his smile translated to happiness and friendliness. I pointed at my camera and he struck this pose. He seemed to really like us and I thanked him and went on my way. 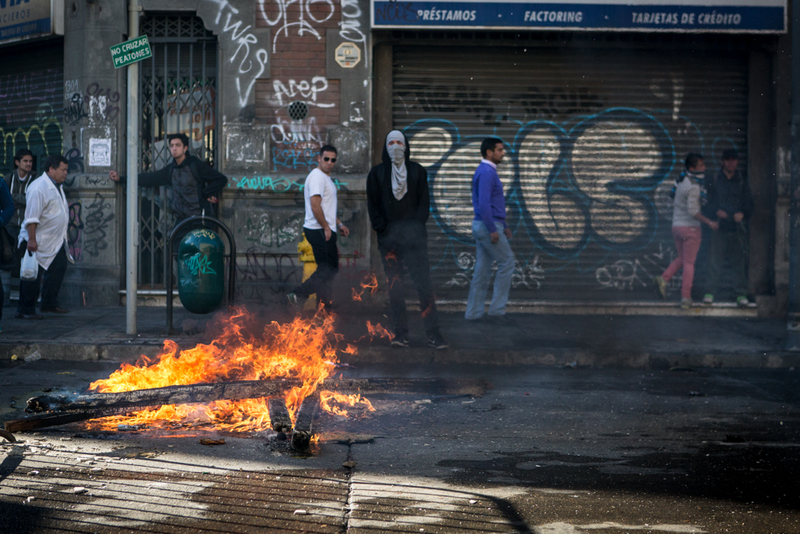 There was a big protest going on in Valparaíso that day and a lot of the streets were closed off to through traffic. The protest had something to do with education. We learned that protests were a very common thing in Valparaíso, happening almost every other day. 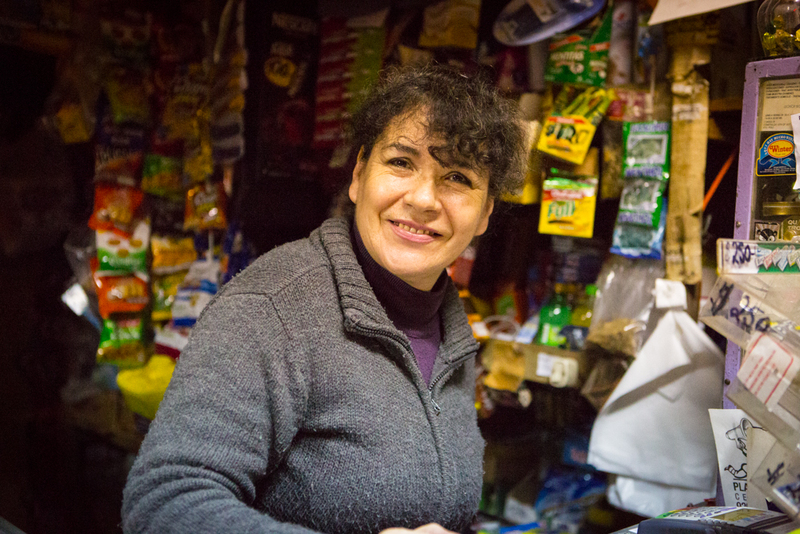 This woman is the owner of Espiritu Santo in Valparaíso, which she operates with her son. We stopped in and had some amazing Chilian cuisine at lunchtime so there wasn’t that large of a crowd giving us a chance to talk with her. She explained that she spent a good portion the 70’s and 80’s in Massachusetts, and then later in Philly but came back to open this restaurant with her son and help raise her grandchildren. She was so beautiful and gave off an elegance in here style that reminded me of Jackie O. 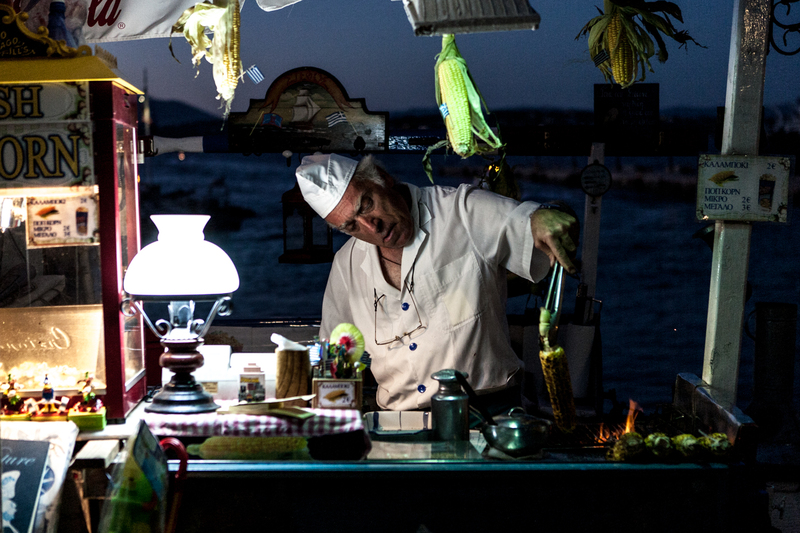 This was a chef at Espiritu Santo, a man who knows what he’s doing. I love restaurants with open kitchens. Again, a friendly Chilian. This man will give you a parking ticket. At this current moment, he was taking a rest. There was no talk, but I stopped and looked at him, he looked back at me. I pointed at my camera and gave me a knod. I threw up a thumbs up, and he knodded again. Our lives went back into the two directions that they were traveling. When I was in Chile, the American Cup (Copa America) was taking place. Chilie was killing it in the tournament, and Chileans take a lot of pride in their football team. 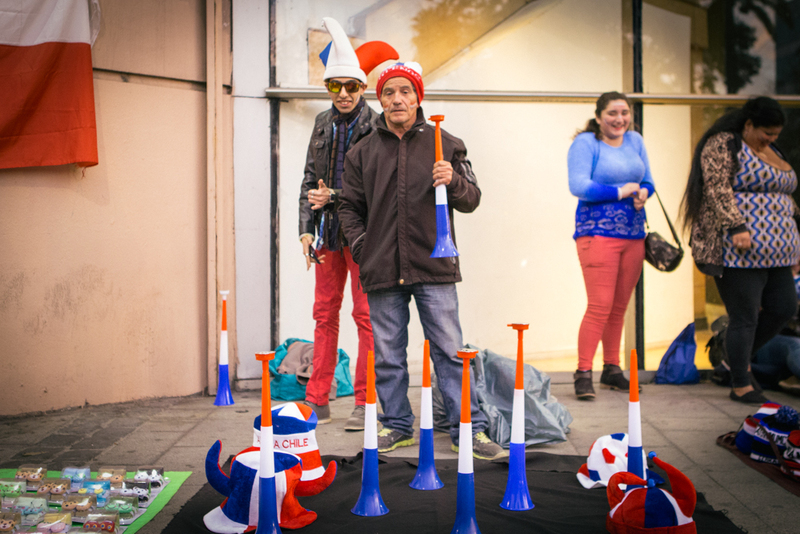 This street vendor was selling some team pride schwag and that little pipsqueek in back was the photobomber. 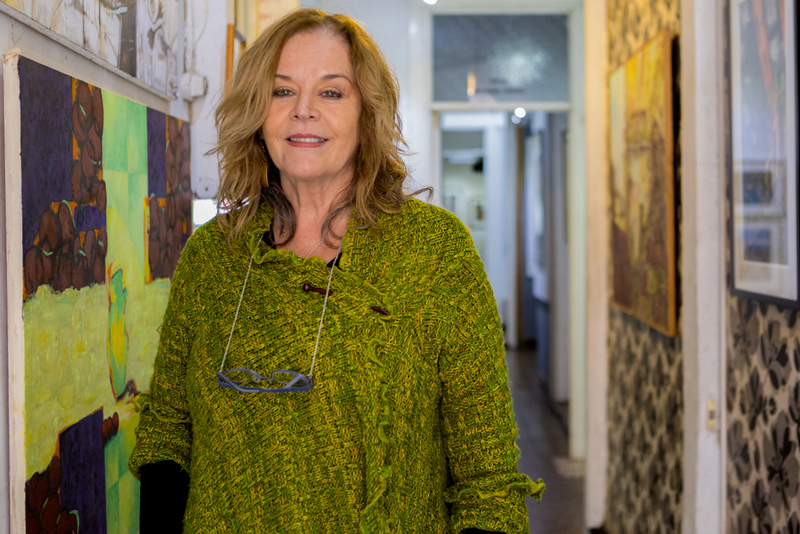 The gorgeous woman runs her gallery, which features a lot of her brothers artwork as well as a lot of the local artists works. She’s so colorful and vibrant and naturally beautiful. To me, she represents how well South American women can age. I bought some Chilian honey, for my mom, from this gentlemen’s shop. 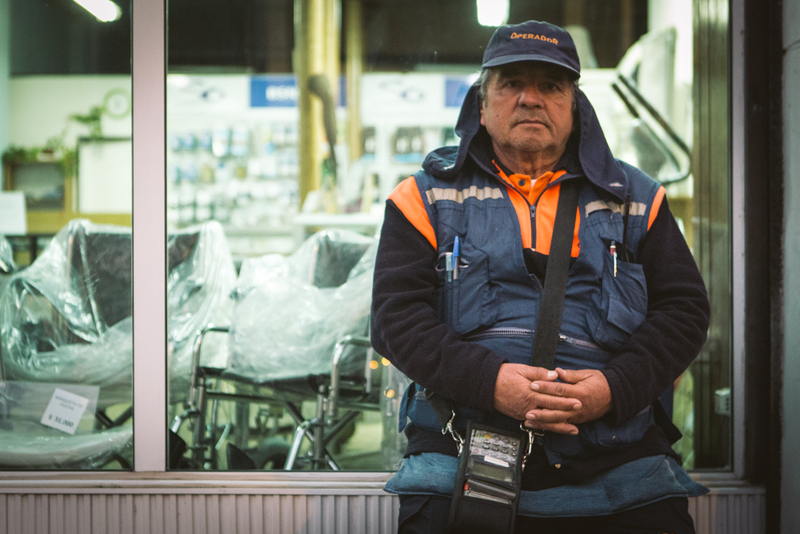 He reminded me of my uncle, and we had a quick conversation about his shop and how all of his products are 100% Chilian, while standing in front of a window, at the perfect time, giving some amazing portrait light. 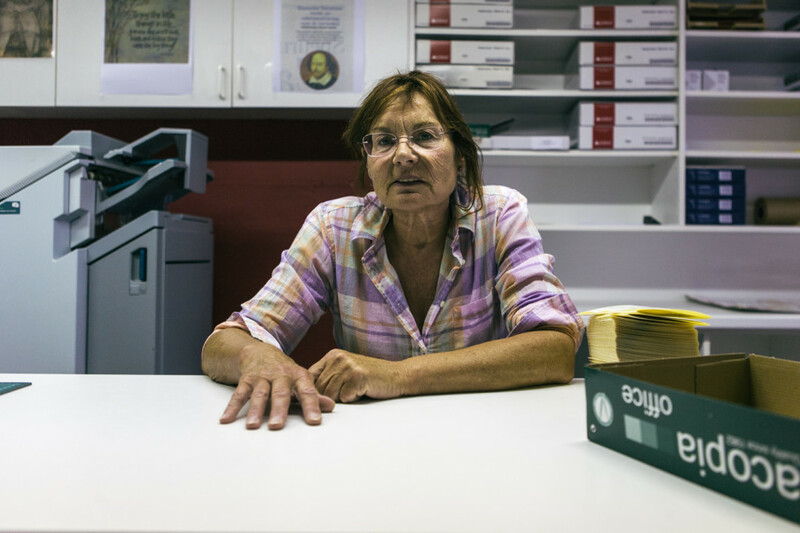 While in Valparaíso, I probally saw this woman so much, I imagined that she was sick of me. She ran the bodega closest to our AirBnB and we hit her up all the time for water, coke, smokes and wine. She was always so friendly, and never missed a beat to help me out when I looked confused. Wherever you go in Valparaíso, if you are in a car, there will always be someone who may be in a tough spot, trying to make an honest buck. A lot of men who can’t resort to finding jobs, or cannot work, will direct you where to safely park without getting a ticket, in return, giving them a few pasos. This man was one of those men who helped us park. 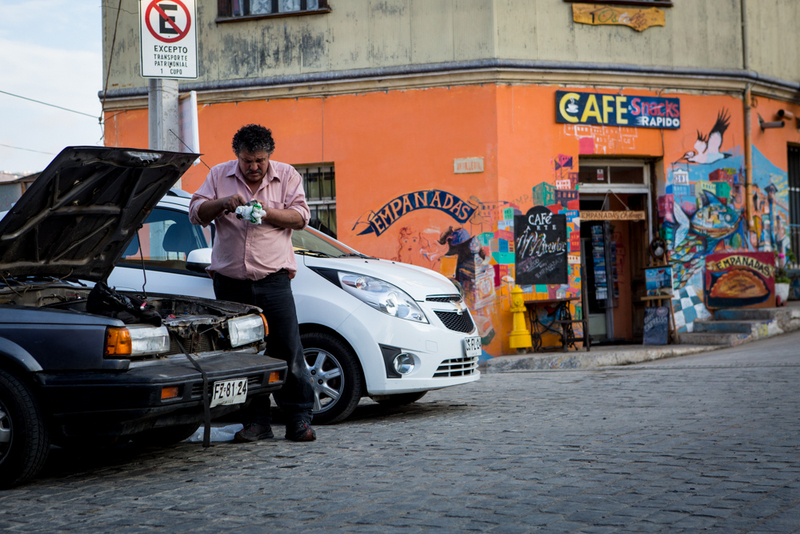 The mechanic in Valparaíso gave me this shot. This shot encompasses how I’ve always imagined rural South American cities to look like: very colorful, very old, very charming, and very hard-working. Imagine what car he’s working on right now as you read this. This lion-maned street musician set up his one man band to accompany one of the most spectacular views of the coastal city. I’m sure he plays there because of the foot traffic, but it’s not really easy to get to without a lot of uphill walking. He lived in San Francisco in the 70’s, 80’s and 90’s doing mostly carpentry and labor work. 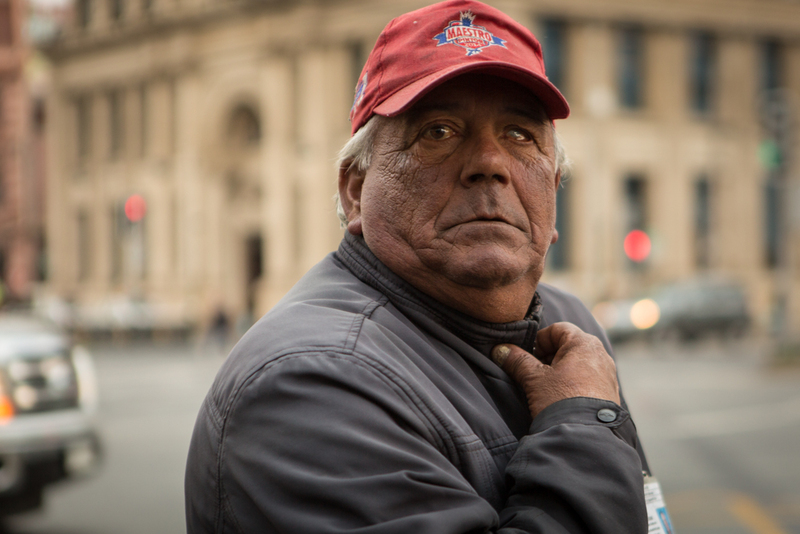 He came back because he hurt his knee very badly and he no longer could find work.